Look what I found! It's an in-depth interview with Sam, who explains his thought processes in writing last year's play, HEARTLESS. 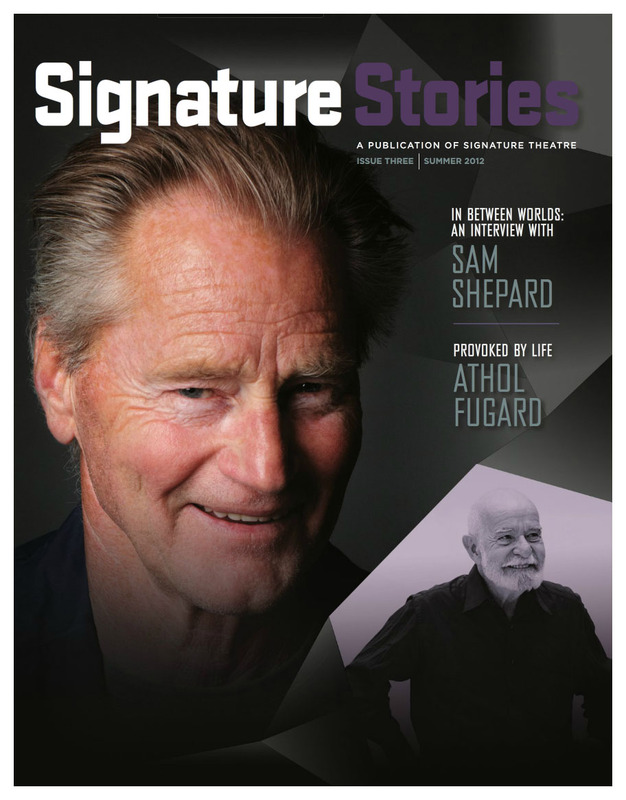 The interview appeared in the online summer issue of Signature Stories. Read it here. You may recall that last August he premiered his latest play at the Signature Theatre Company to less than stellar reviews. Nonetheless, the play will be staged for a second time during the Contemporary American Theater Festival in Shepherdstown, WV, next month. 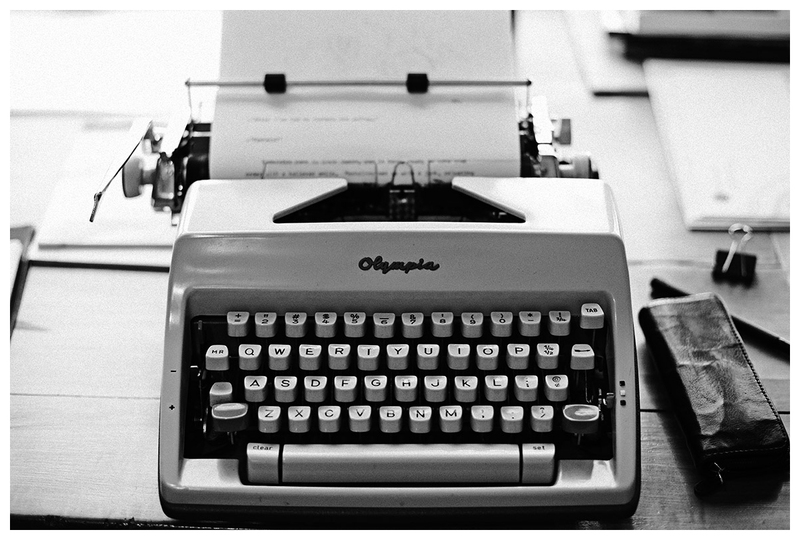 And on September 10th, the play will be published by Vintage. Last month Relativity Media announced an October 4th theatrical release for OUT OF THE FURNACE. The Scott Cooper-directed revenge thriller will now have a limited relase on November 27, expanding that run beginning December 6th. Well, a girl can change her mind, can't she? Apparently, Relativity production president Ms. Robbie Brenner began thinking of the best way to capture an award. I quote her, "Cooper has made a powerful, moving and brilliant film that we think will generate a tremendous amount of conversation and attention during this awards season. We are confident that this new date will give Scott's film the platform and support it deserves." With these end-of-year premiere dates becoming ever more popular, I'm not sure it's possible to watch quality films the rest of the year! Personally I don't go to the cinema in freezing weather. There is presently no trailer, nor movie stills for the film, but this week Relativity finally released this rather dull poster. Mark Hinson of the Tallahassee Democrat recently reviewed SHEPARD & DARK. He points out that, "Shepard does not try to stage-direct Wurmfeld or nudge her into painting him in a better light. He’s a crusty, sharp-tongued, self-centered loner. You have to give him credit for having the guts to reveal his true self in front of camera." He also comments on father-son relationships - "Shepard’s booze-swilling dad, who was not exactly big on affection, is never too far away from the surface. It quickly becomes apparent that Shepard does not have a strong relationship with his first-born son, Jesse Mojo Shepard, either. The mistakes of the past keep repeating themselves." And therein lies the mystery as to why an intelligent man like Mr. Shepard would ignore the wisdom of experience and repeat the mistakes of his father, thus passing on the familial misery to the next generation. 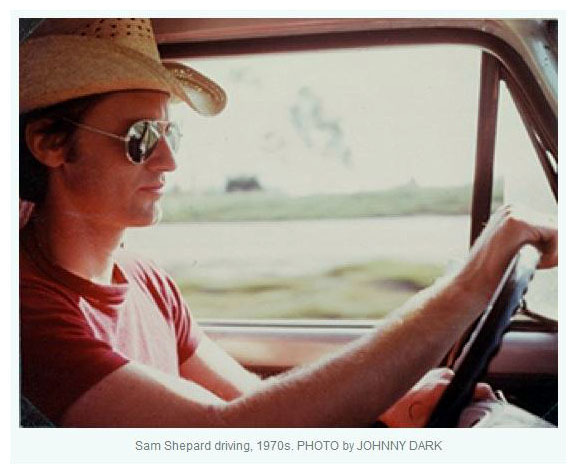 The Wittliff Collections at Texas State opened a new literary exhibition last week to showcase Sam Shepard, who began donating to the Wittliff Collections in 1992. 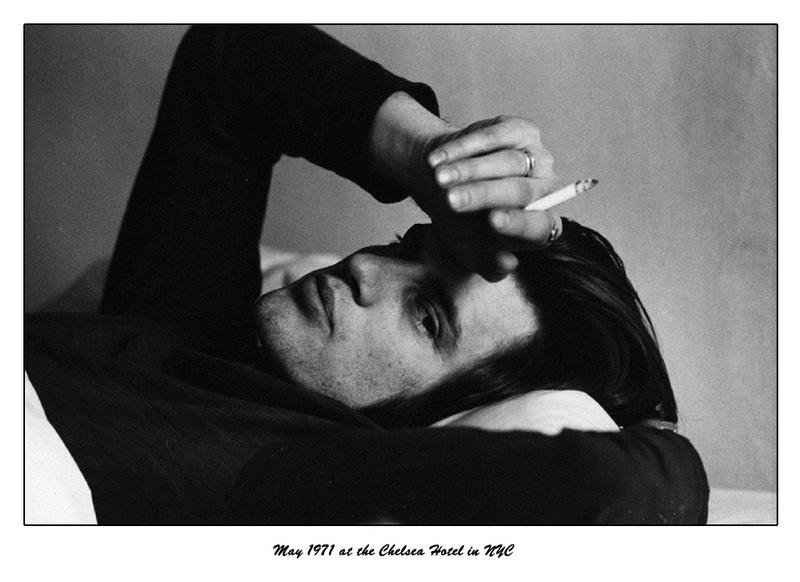 “The Writer’s Road: Selections from the Sam Shepard Papers,” is the first exhibition drawn exclusively from the Wittliff’s major Shepard archive. Admission to the exhibition is free. 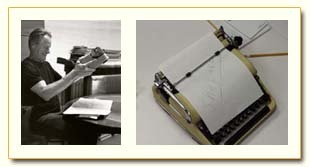 The Writer’s Road uses journals, correspondence, photographs, interviews, manuscripts, and published works to map the trajectory of Shepard’s career from his days as a one-act off-Broadway playwright to his maturation into master of the complex family drama with plays like Curse of the Starving Class, Buried Child, and True West. Shepard reveals his states of mind in handwritten notes and letters along the way, from his spiritual sojourns in England in the early 1970s to his unexpected fame as a major Hollywood star in the 1980s. 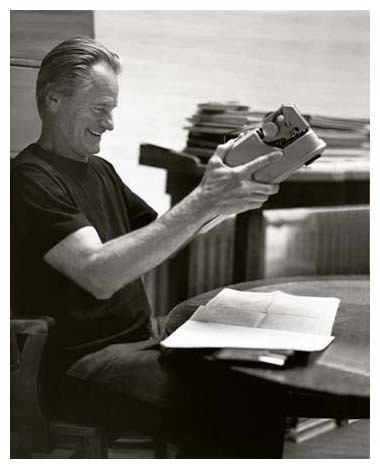 The exhibit also includes artifacts from the Sam Shepard and Johnny Dark Collection, recently acquired by the Wittliff. Sam and Johnny met in New York City in the early 1960s. Johnny married Scarlett Johnson, and Sam married Scarlett's daughter, Olan, with whom he had a son, Jesse. 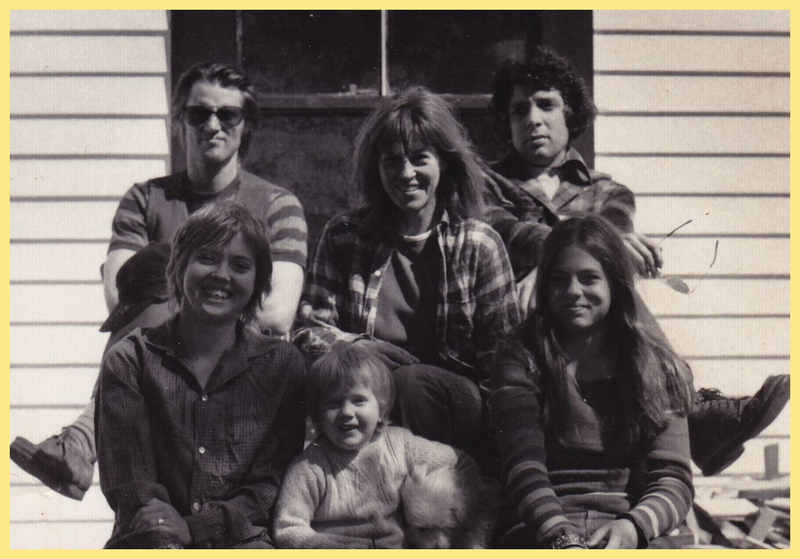 Over the next several years, the two couples lived together in Greenwich Village, Newfoundland, and California; and through the decades, Johnny and Sam have remained close friends. 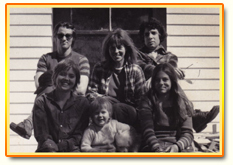 When distance separated them, they wrote letters back and forth, beginning with the Shepards’ stay in England in 1972, and then beginning in earnest in 1983 when Sam left the family. 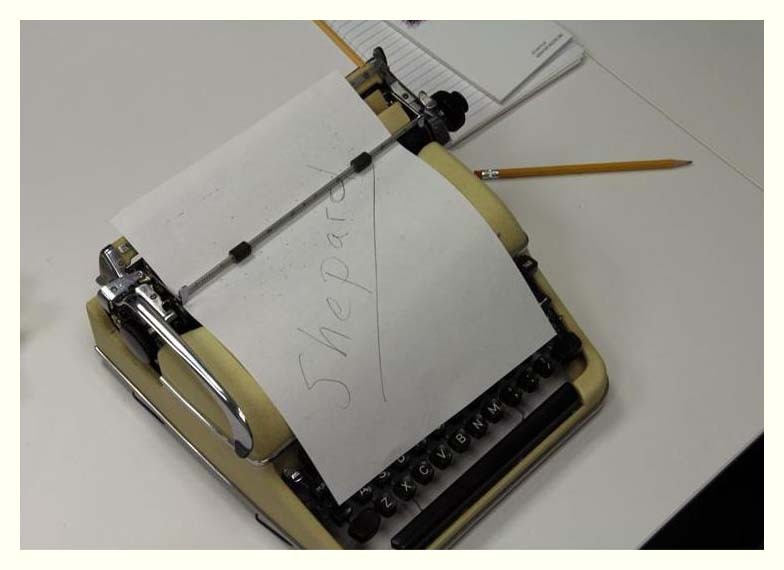 The holding contains nearly 300 letters exchanged through more than four decades between Shepard and his long-time close friend, as well as hundreds of candid photographs and other materials that open a larger window onto Shepard’s personal life. The Writer’s Road was co-curated by Chad Hammett of Texas State’s English department and Steve Davis of the Wittliff Collections. The exhibition runs through February 14, 2014. 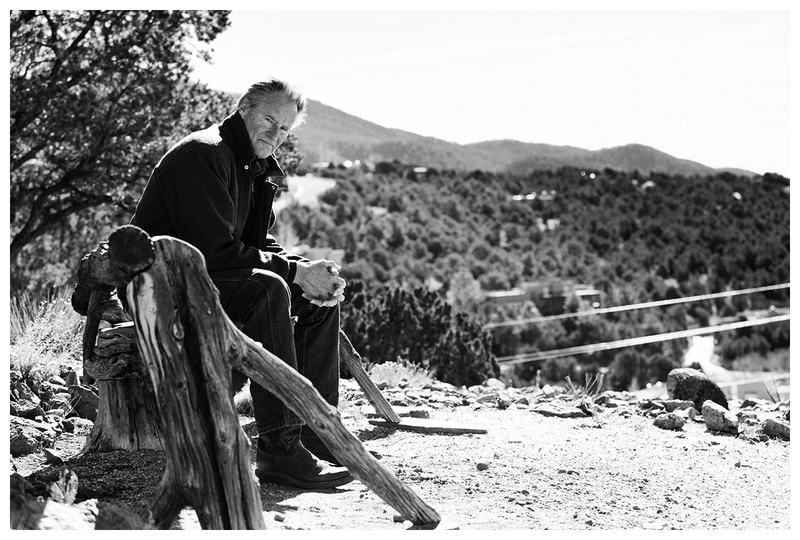 With a publication date of November 1, 2013, "Two Prospectors: The Letters of Sam Shepard and Johnny Dark", edited by Chad Hammett, gathers nearly forty years of correspondence and transcribed conversations between Sam Shepard and Johnny Dark. Despite the publicity Sam's work and life have attracted, he remains a strongly private man who has said many times that he will never write a memoir. But he has written intensively about his inner life and creative work to his former father-in-law and housemate, who has been Sam’s closest friend, surrogate brother (they’re nearly the same age), and even artistic muse for forty-five years and counting. In these gripping, sometimes gut-wrenching letters, the men open themselves to each other with amazing honesty. 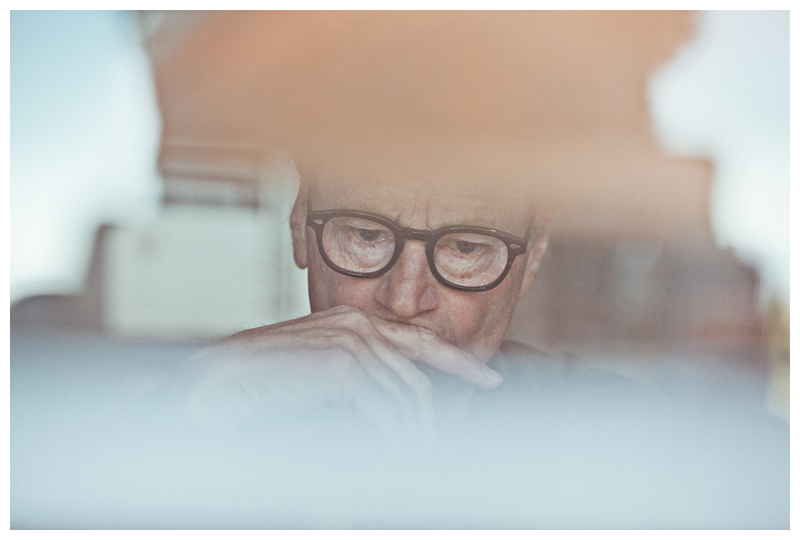 Sam’s letters give us the deepest look we may ever get into his personal philosophy and creative process, while in Johnny’s letters, we discover insights into Sam’s character that only an intimate friend could provide. The writers also reflect on the books and authors that stimulate their thinking, their personal struggles, and relationships with women... The book is also illustrated with Johnny’s candid, revealing photographs of Sam and their mutual family across many years. Previously I had mentioned that Annette Haywood-Carter's historical drama, SAVANNAH, would have a limited theatrical release on August 23 and that perhaps Shepard movie fans could catch the film on DVD next year. Since then, Ketchup Entertainment has acquired U.S. rights to the film and are indicating a DVD launch on September 24. This announcement was made on the opening day at Cannes. 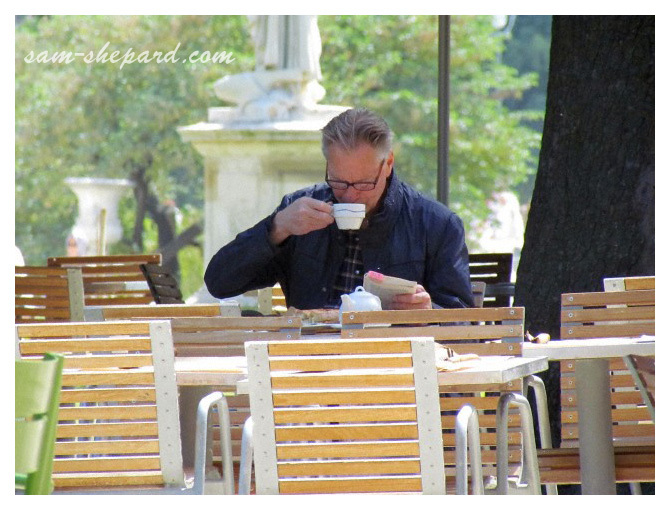 It was May 30, 2011, when photographers had a field day capturing Sam and Patti Smith in Paris. 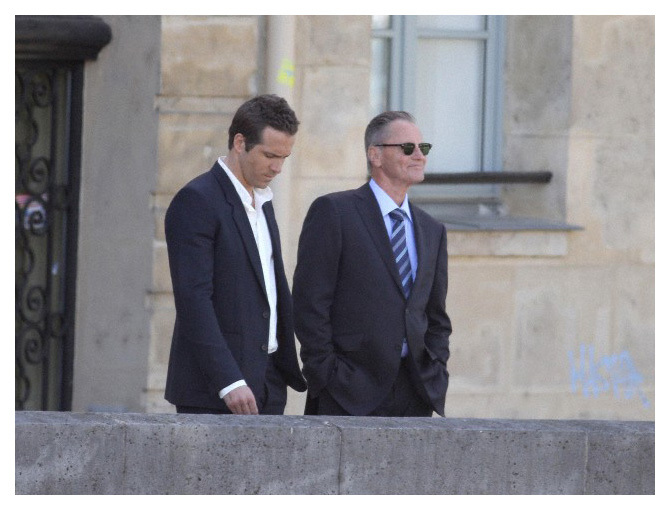 It's unclear why Patti was in Europe at this time but it is a fact that Sam was in Paris to shoot scenes for "Safe House" with actor Ryan Reynolds. Since then, in addition to co-writing the Linklater trilogy, Delpy has written and directed five films of her own and she’s currently working on two French films that she plans to direct, as well as an American screenplay and a TV show. 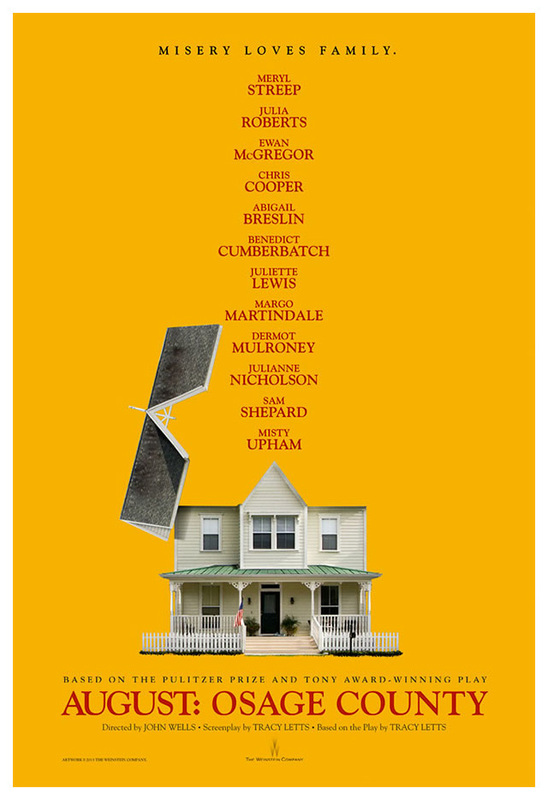 The Weinstein Company has released a rather underwhelming first poster for its upcoming AUGUST: OSAGE COUNTY. The ugly teaser is clearly selling its stars. "Misery loves Family" is the movie's tagline and you know there's going to be plenty of trouble when you see that the roof of the house has blown off. Directed by John Wells, the story, based on the 2008 Pulitzer Prize-winning play, is that of the strong-willed women of the dysfunctional Weston family, whose lives have diverged until they gather together for the funeral of the family patriarch, Beverly Weston, played by Sam. Obviously, he'll have limited screen time. And since when is Beverly a man's name! Perhaps the guy who wrote the play was seeking revenge for his own feminine name of Tracy Letts. Expectations for the film are sky high and it's already being toted as an awards-season favorite. Updated 5/10: "Life is very long," Sam says at the beginning of the movie's first trailer now online. You'd think the Weinstein Company could afford an official web site featuring the trailer but at the moment, you'll have to scour the Net for a trailer that's not riddled with ads! Turn back the clock. 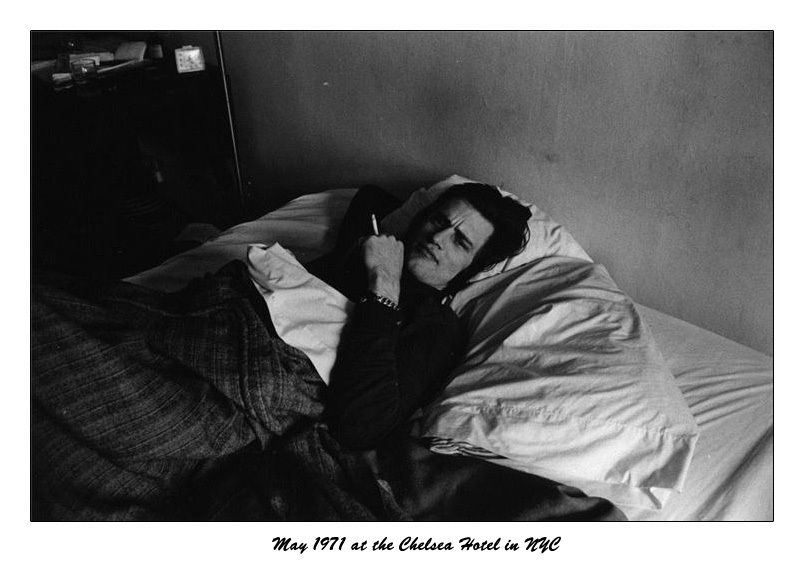 It's May 1971 at the Chelsea Hotel in New York City. 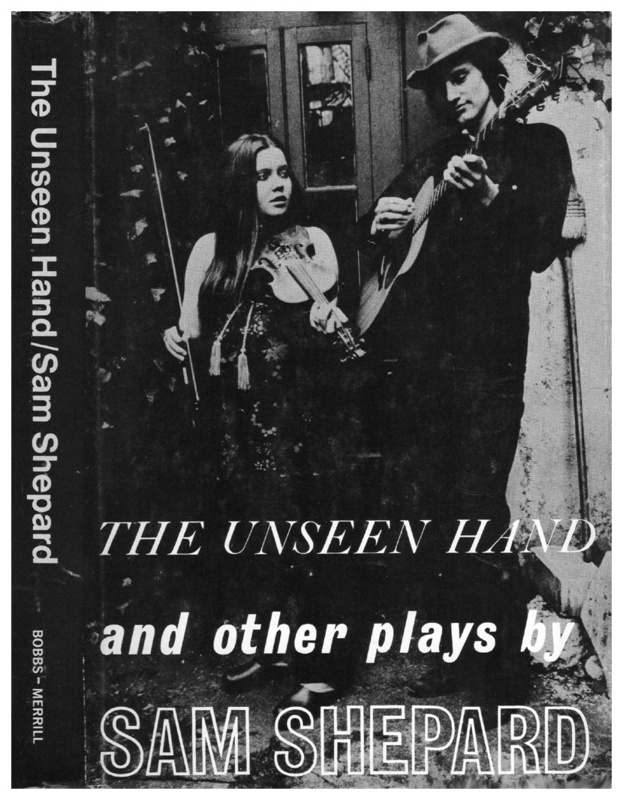 And here's my latest acquisition - a 1972 copy of Sam' book - "The Unseen Hand and other plays", published by The Bobs-Merrill Company. 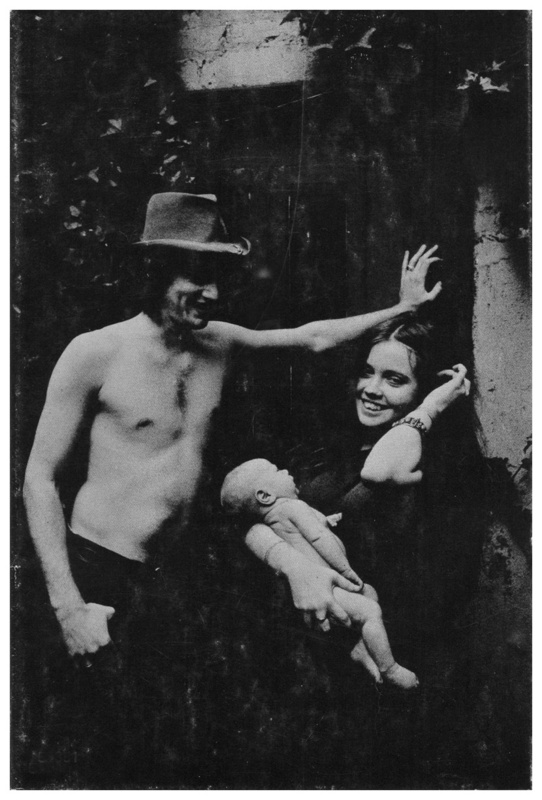 The book jacket shows Sam's one and only wife, O-Lan Jones, along with their son Jesse. Can you hear the Shirelles singing it? Here we have some before and after photos. 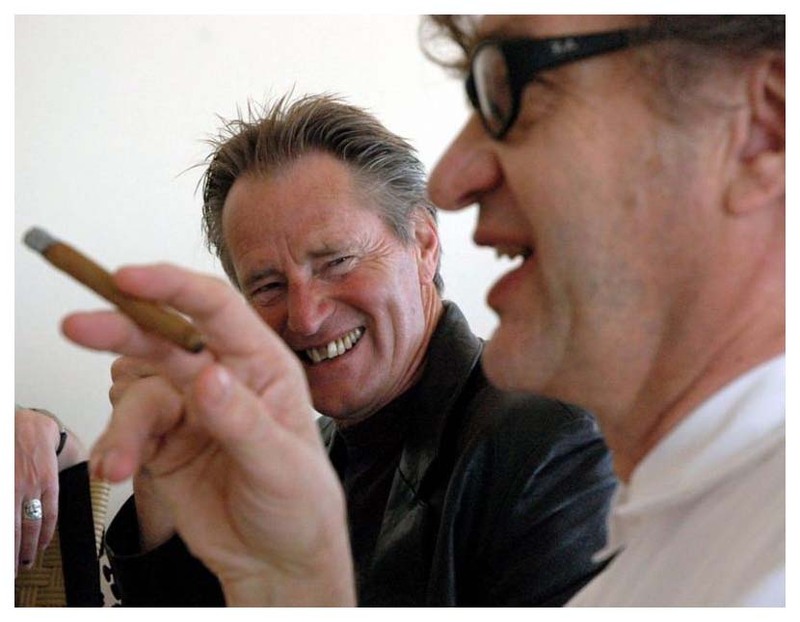 The one on the left shows Sam with Wim Wenders at Cannes in 2005 and clearly shows his chipped tooth, which for reasons unknown, he chose to ignore for decades despite a film career. God bless the horse that kicked him in the mouth three years later because a trip to the dentist gave the handsome actor some beautiful pearly whites! It's a mystery why he didn't get his teeth capped years ago. It must have been a nightmare for some of his cinematographers always trying to capture an angular shot rather than the straight-on or full face shot. 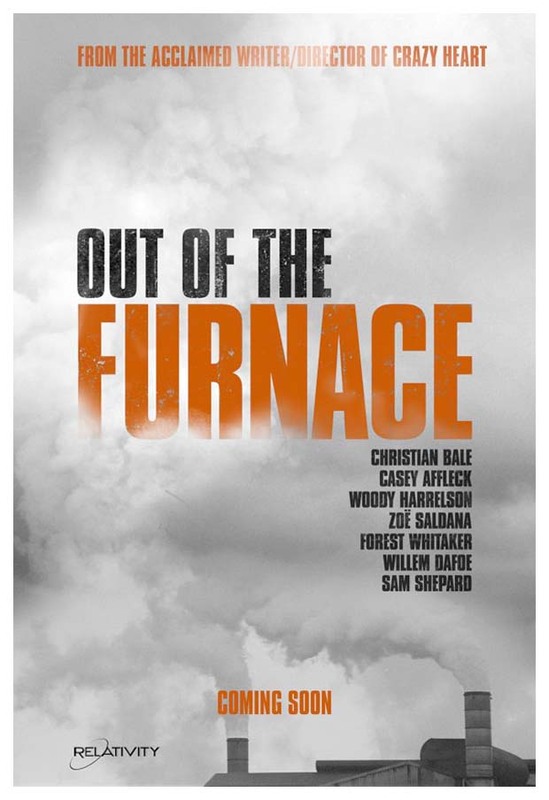 Relativity Media has set October 4th for the release of OUT OF THE FURNACE. 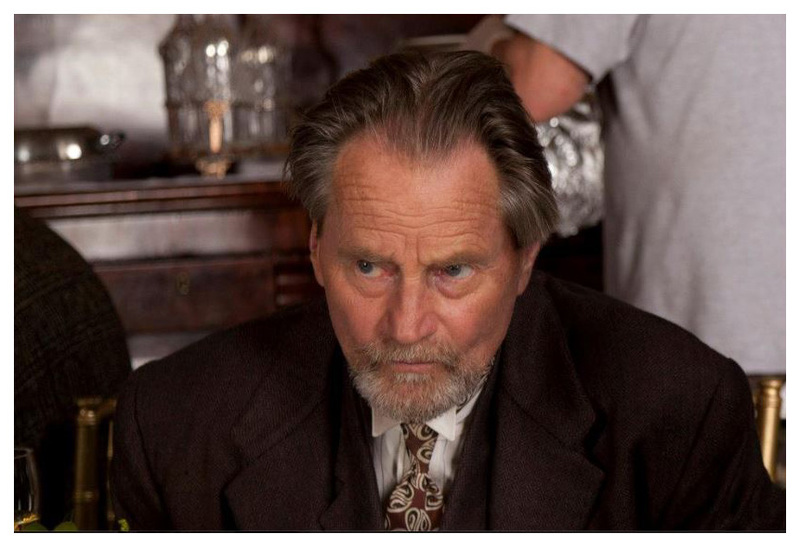 Writer/director Scott Cooper overhauled Brad Inglesby's Black List script "The Low Dweller" and cast his film with an impressive list of actors. The film has undergone a number of title changes. Cooper says he likes titles that "reveal themselves over the course of a narrative". While writing the script, Cooper thought "Under a Black Sun" might be an apt title, a reference to the sun straining light through the airborne soot of a blast furnace heyday. 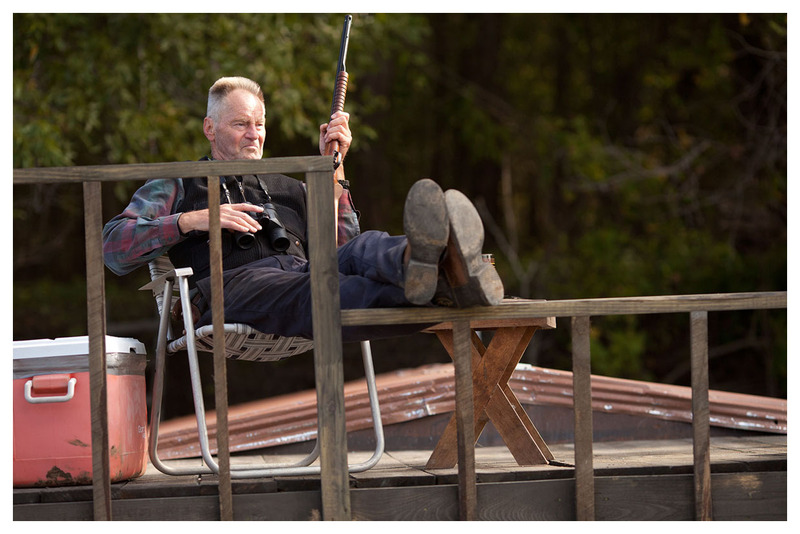 Director's chairs on the Braddock, Pennsylvania set in April 2012 sported another title, "Dust to Dust," though a potential copyright concern nixed that. Eventually "Out of the Furnace" was settled upon, a title that cast member Sam and legendary director Terrence Malick told Cooper they thought was perfect. "I'd say Terrence Malick and Sam Shepard know a thing or two about titles," Cooper said with a laugh. The "Crazy Heart" director was attracted to the story because it parallels what's happening in the country today as the middle class is ever squeezed out. The film tells a blue collar tale against a backdrop of economic decline in Pennsylvania steel country. 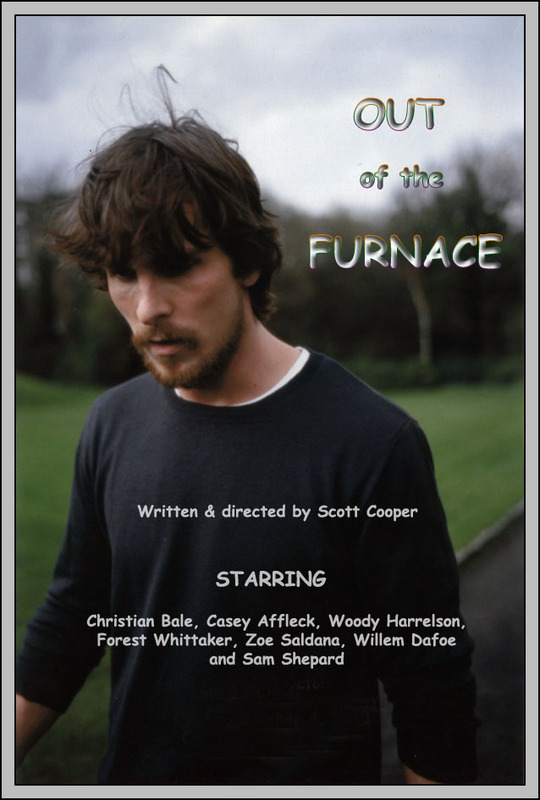 ‘Out of the Furnace’ is a drama about fate, circumstance, and redemption. Russell and his younger brother live in the economically depressed Rust Belt, and have always dreamed of escaping and finding better lives. But when a cruel twist of fate lands Russell in prison, his brother is lured into one of the most violent and ruthless crime rings in the Northeast – a mistake that will almost cost him everything. Woody Harrelson plays the brutal crime boss Harlan DeGroat and Forest Whitaker plays Wesley Barnes, the Sheriff of Braddock. Christian Bale stars as older brother Russell Baze alongside Casey Affleck, who takes on the role of younger brother Rodney Baze Jr. Zoe Saldana is Bale’s love interest Lena Warren and Sam is Red, Russell and Rodney Baze’s uncle. It looks like filmmaker Treva Wurmfeld has come upon a splash of serendipity in her life! By a stroke of luck, her film, SHEPARD & DARK will be screened at Cannes next month in the festival's sidebar - Cannes Classics. It just so happens that Joanne Woodward is one of the executive producers for the film. 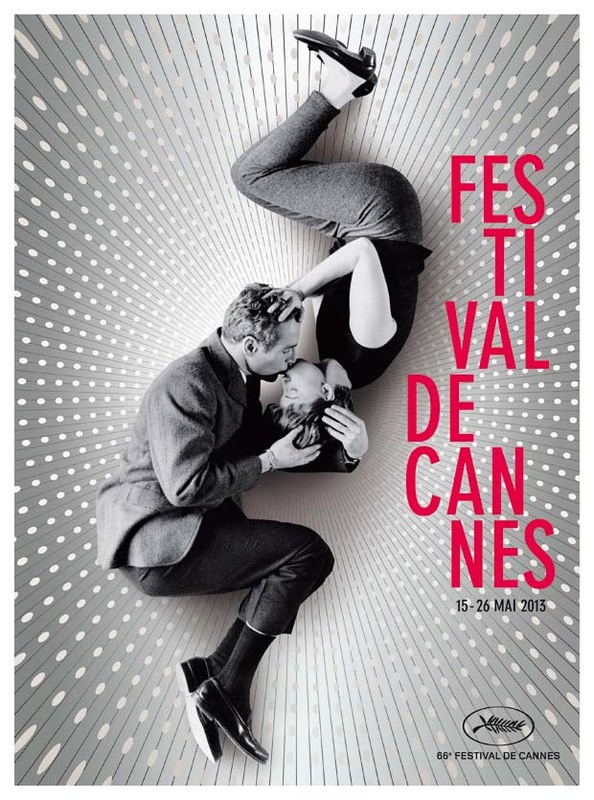 Ms. Woodward and her late husband Paul Newman are featured on this year's Cannes poster, so as a tribute to the Oscar-winning actress, the festival will screen the documentary. FYI, the photo used in the festival poster was taken during the shooting of "A New Kind of Love" in 1963. Each year The Texas State University in San Marcos features its Wittliff Collections with several exhibitions mounted from the literary and photographic repositories. Often the shows are in concert with a new volume being published in one of the two book series, and each new exhibition is celebrated with a public reception and special program. 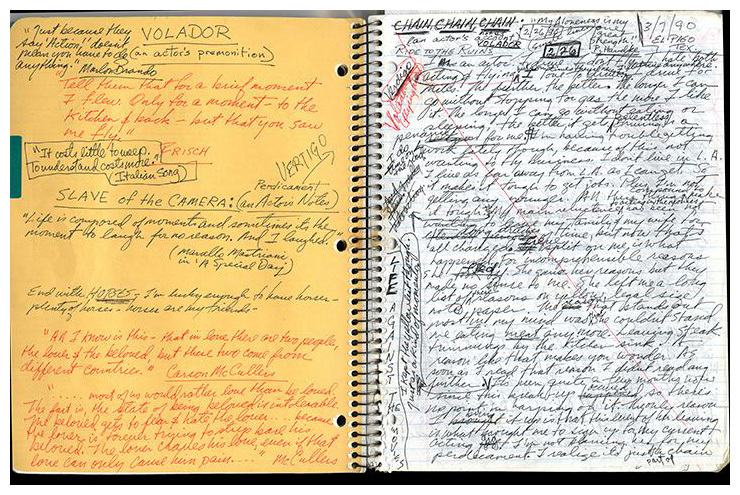 As many of you know, the Wittliff Collections are home to the major archive of our playwright. 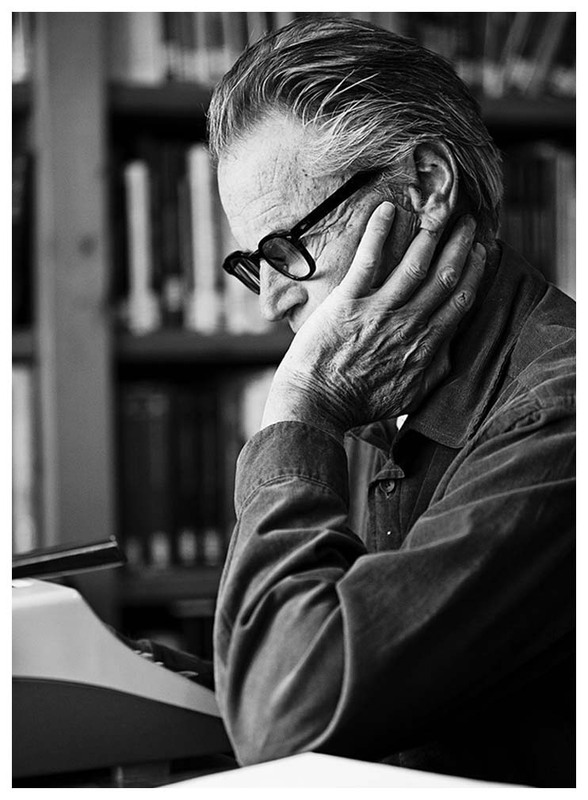 An exhibition called "The Writer's Road: Selections from the Sam Shepard Papers" will be held June 3, 2013 through February 14, 2014. 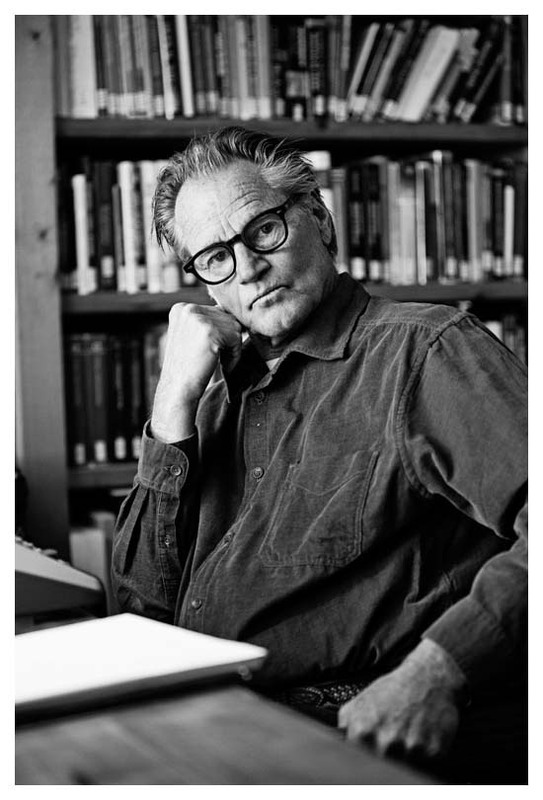 It is the first-ever comprehensive exhibition from this extensive and illuminating archive, and it celebrates the forthcoming book in the Wittliff’s Southwestern Writers Collection Series: Two Prospectors: The Letters of Sam Shepard and Johnny Dark. 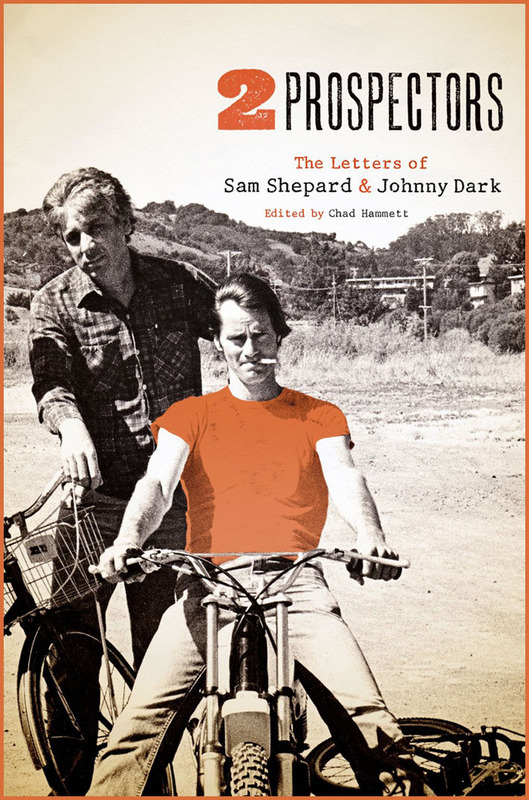 Edited by Texas State faculty member Chad Hammett, Two Prospectors presents selected correspondence and photographs from Shepard’s archive, chronicling the decades-long friendship between Sam and Johnny. The Wittliff Events page will give details at a later date about a special Shepard event to be held this fall. Ever wonder what Sam's journals look like? Here's a sample from the Wittliff Collections. Personally, I'm impressed with his handsome penmanship, most likely influenced by the Palmer Method. With the big win of Quentin Tarantino’s slave revenge tale "Django Unchained" at the box office and at this year’s Oscars, it should come as no real surprise that not one, not two, but a staggering seven slave-themed films are set to be released this year on the silver screen. One of the seven is called SAVANNAH and includes Sam in its cast. The film, loosely based on the book, "Ducks, Dogs and Friends" by John Eugene Cay Jr., tells the story of a well-educated white hunter who develops a friendship with a freed slave. Some of you might see it when it gets a limited release in August; otherwise, check it out on DVD. 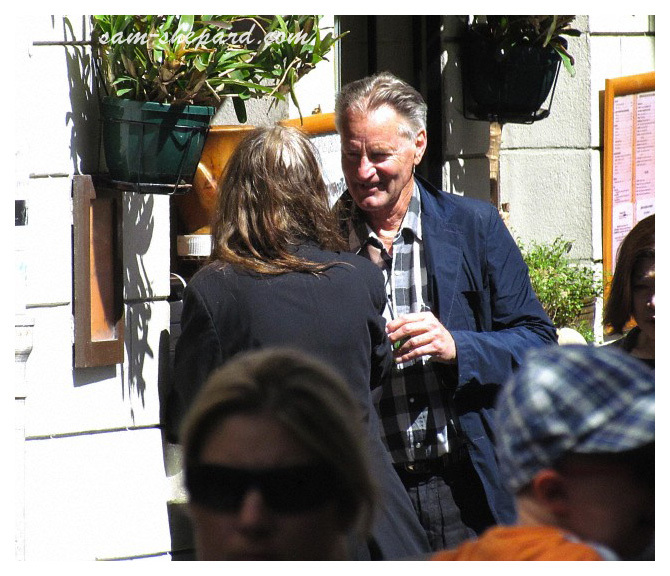 The photo below shows Sam on location with director Annette Hayward-Carter. There's a rumor that a low budget movie will be shot in Wilmington, NC. The filmmakers for "Riverguard" have been doing some preliminary location scouting. 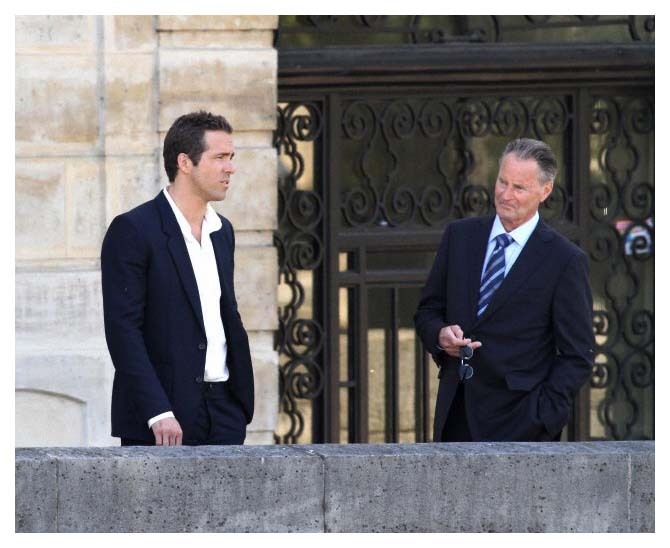 The film is a courtroom drama, based on a true story. The production team is reaching out to Sam for the lead. I'll keep you posted. 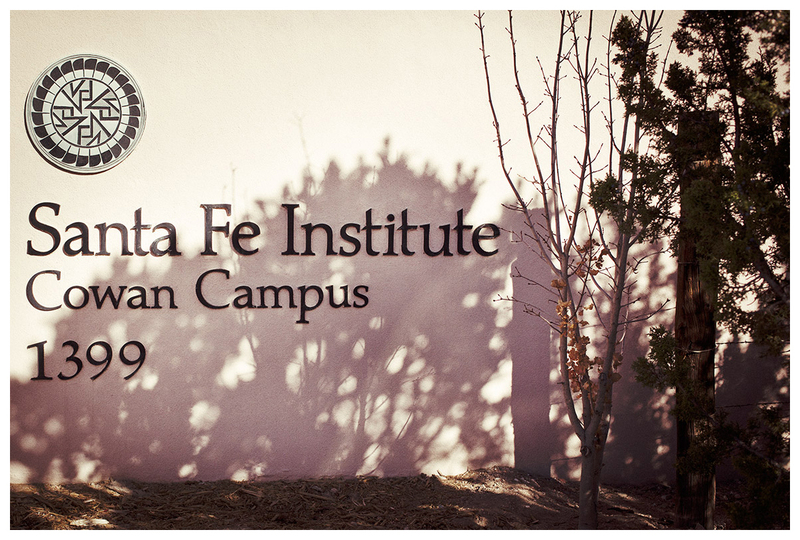 Photographer Mike Piscatelli spent a day recently at the Santa Fe Institute and captured Sam in the following photos. 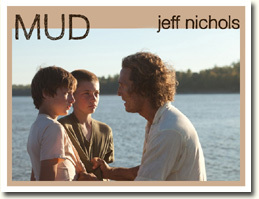 Here are a few more photos of Sam in Jeff Nichols' film, MUD. The reviews are terrific and the film is pulling a critic rating of 98% on the Rotten Tomatoes meter! 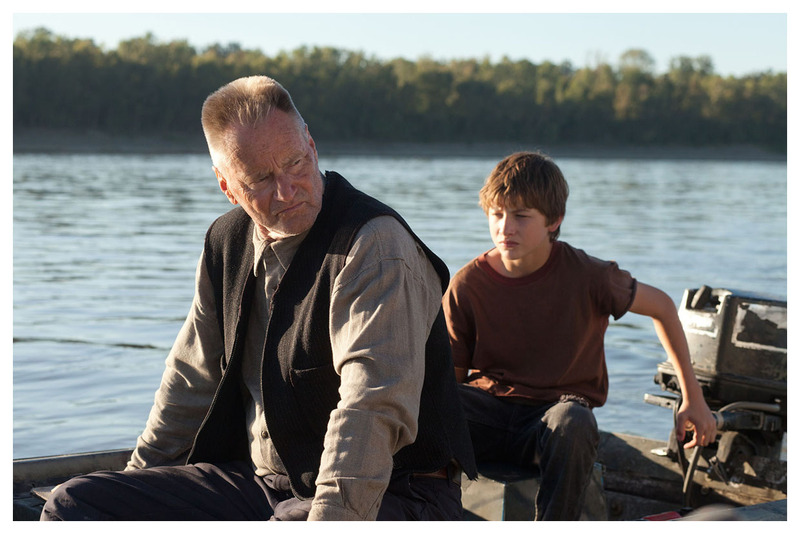 Betsy Sharkey of the LA Times writes, "The movie itself, filled with miscreants, mysteries, a scandalous hero named Mud and a couple of boys as headstrong as Huck Finn, is one of the most creatively rich and emotionally rewarding movies to come along this year." Click on the photo to watch Sam's youngest son, Walker, in a solo performance on his banjo. As some of you know, Walker plays with The Dust Busters Band, which also includes Craig Judelman and Eli Smith. Apparently, Walker met Craig when he was attending Bard College in update New York. 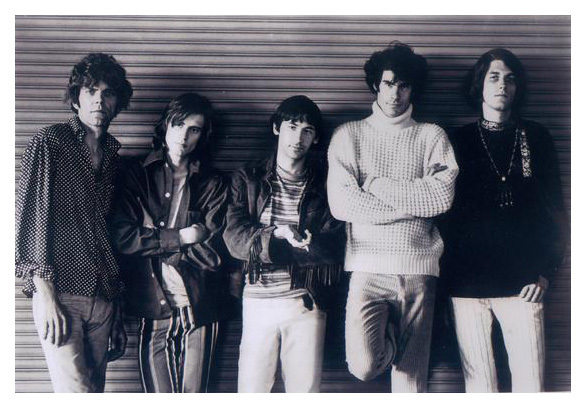 Since Sam has been friends with Peter Stampfel since playing with The Holy Modal Rounders back in the 60s, Walker soon hooked up with many of these old folk music legends like Peter and John Cohen. This month the Florida Film festival screened two of Sam's films. Cameron Meier of the Orlando Weekly writes, "If MUD isn’t the best movie of this year’s festival, it’s certainly the most instantly satisfying. Director-writer Jeff Nichols follows up his captivatingly moody Take Shelter with this little gem about love, loyalty, revenge and redemption. It’s both a clinging-to-the-past story and a coming-of-age one, filled with societal nuances and a cultural honesty on par with such Southern films as Sling Blade and Beasts of the Southern Wild... 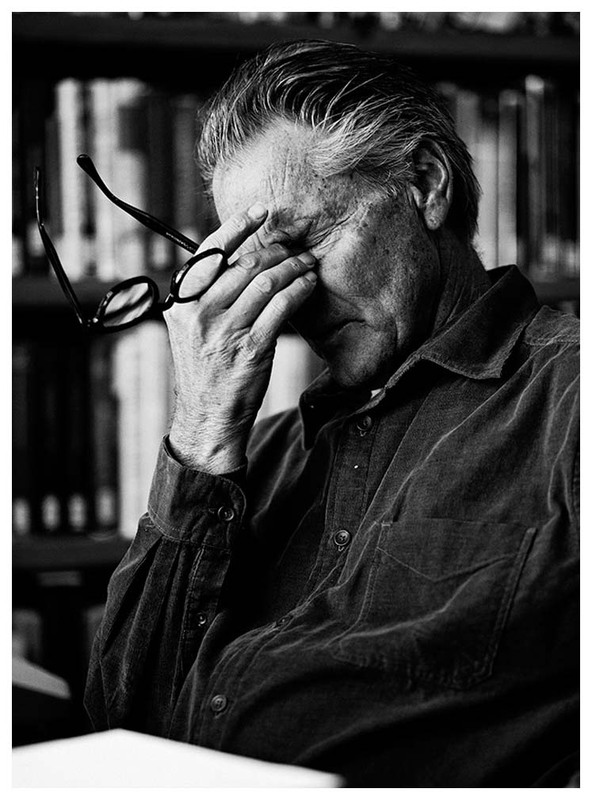 Particularly memorable is Sam Shepard, whom young Sheridan’s character calls a “worn-out old man” in one of the film’s many bits of beautiful but brutal dialogue." SHEPARD & DARK was the other film, which incidentally has just been picked up by Music Box Films. Film critic Andrew Coffin writes, "Shepard doesn't come off as a villain, but more just a prickly type A personality that is sometimes difficult to live with." Yup, that's become obvious. In her review of the documentary, Hillary Weston of Black Book magazine writes, "Shepard brings you deep inside his tormented and beautiful state of mind - but it's never bleak. [correction needed: Sam's state of mind is NOT beautiful and it is DEFINITELY bleak]. It's existential with the gentle touch and rough tongue of a man searching to understand the duality that lives within himself and the endless search for identity and meaning that plagues us all." I have no idea in whose company Ms. Weston spends her time, but she should understand that the majority of us have no need to wander the desert as a lost soul in search of our identity. The Discovery Channel is taking a page from the History Channel’s book and is putting together its first ever scripted miniseries, KLONDIKE. The project has been in the works for a few months and now the six-hour miniseries has added Sam to its ranks. Based on Charlotte Gray’s book Gold Diggers: Striking It Rich in the Klondike, the project follows six strangers and their collective fight for survival and wealth in a small, frontier town in the untamed Yukon Territory during the 1890s. A man-versus-nature tale, it places the characters in a land abundant in undiscovered wealth yet ravaged by harsh conditions, unpredictable weather and desperate, dangerous characters - including greedy businessmen, seductive courtesans and territorial native tribes. Sam will play Father Judge, who has come to Klondike on a mission to save souls in order to atone for his violent past. This role was originally held by Chris Cooper until he pulled out of the project last week citing "a personal matter". Other cast members include Tim Roth, Tim Blake Nelson, Richard Madden, Augustus Prew, Abbie Cornish and Ian Hart. The Canadian production began last week in various locations west of Calgary. It will be aired next year. "He's one of those actors who knows that his face is the story." 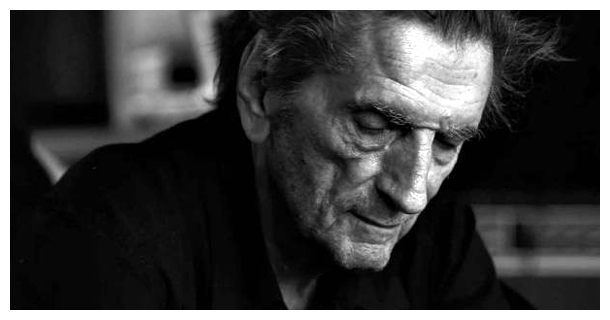 So says our playwright when talking about his fellow actor in Sophie Huber’s "Harry Dean Stanton: Partly Fiction". Premiering last fall at the Venice International Film Festival, the documentary has continued its festival circuit. Certainly, we can all agree that Stanton is an enigmatic subject! Ms. Huber carefully chooses a select few films on which to focus, spending the majority of the time on Stanton's most notable leading role in "Paris, Texas" [written by Shepard]. Interviews are also featured with Wim Wenders, Kris Kristofferson, David Lynch and Deborah Harry. 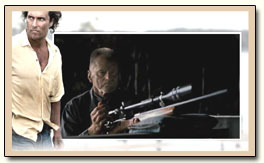 You may also recall that Stanton appeared in Sam's film version of "Fool for Love". 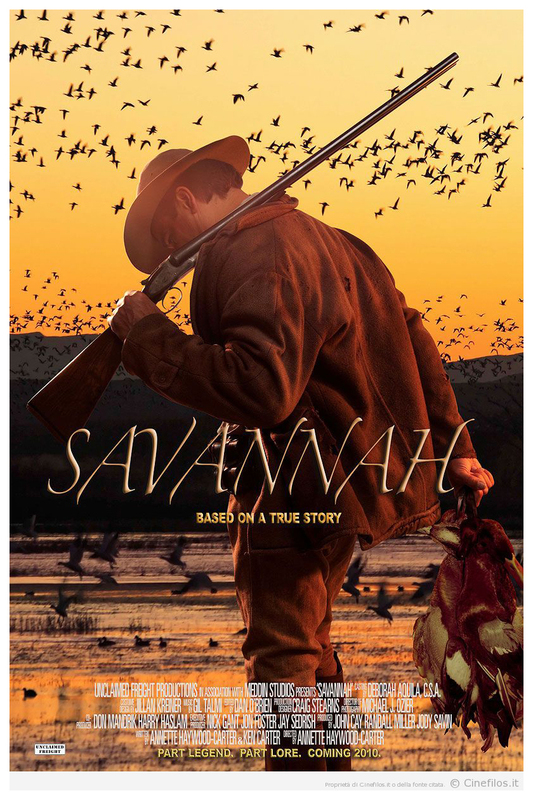 After screenings at the Sedona Film Festival and the Charleston Film Festival, SAVANNAH will now be distributed to 20 U.S. cities by ARC Entertainment and will then become available on DVD. Below are some new images from the film. 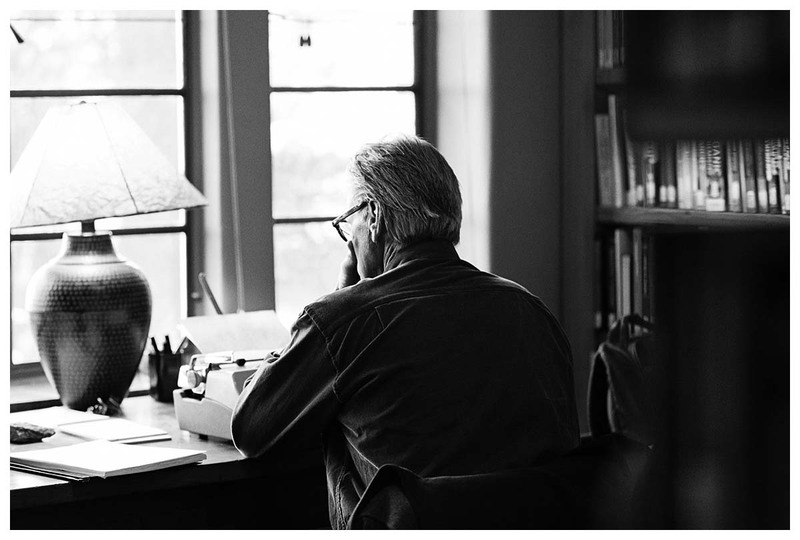 The Savannah Film Office made this recent announcement - "Annette Haywood Carter's 'Savanah', starring Jim Caviezel and Sam Shepard, has been awarded the top cash prize at the 4th Annual Charleston Film Festival at the Terrace Theater in Charleston SC. " 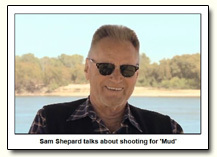 You can access a three-minute video interview with Sam at this youtube link where he discusses filming MUD. Sam says he agreed to the role because the script was one of the best he's read in a long time and he also loved the character. 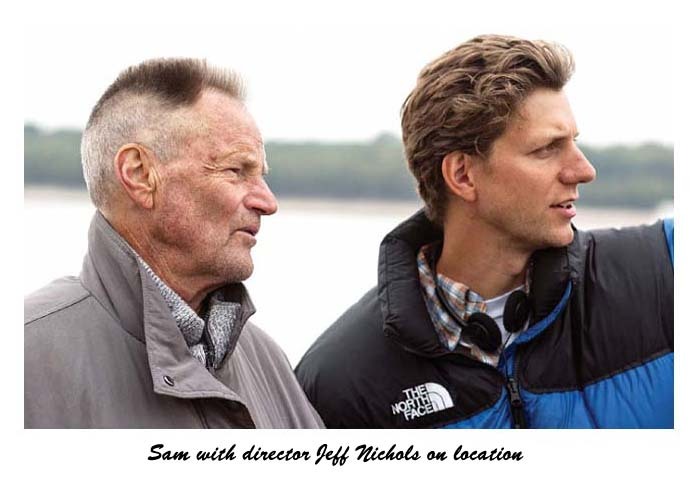 On working with director Jeff Nichols, he said, "He very clearly knows what he's after and yet, he's open to what presents itself in the moment, which is a great thing." In discussing the young boys in the film, he recalled how Terry Malick had picked up Linda Manz right off the street for his "Days of Heaven" and she was fantastic in the same way as these boys. Cameron McAllister of Reel Georgia gave the film a glowing review when it opened the Atlanta Film Festival on Friday. He writes, "Structurally similar and overflowing with character, the film would fit right in alongside the works of Elia Kazan from the 1950's and 60's. The visual elegance achieved through harnessing the sunkissed Americana is reminiscent of 'The Tree of Life,' despite Malick's broader scale and sprawling esotericism. Director of photography Adam Stone, having worked with Nichols on all previous films, gives us his best work yet - capturing the tree crowns, sand dunes and swift currents of the river with a colorful sophistication. The oxbows and islands of the Mighty Mississippi comprise as exotic a location as any American film could hope for, rivaling 'Beasts of the Southern Wild' in visual novelty." 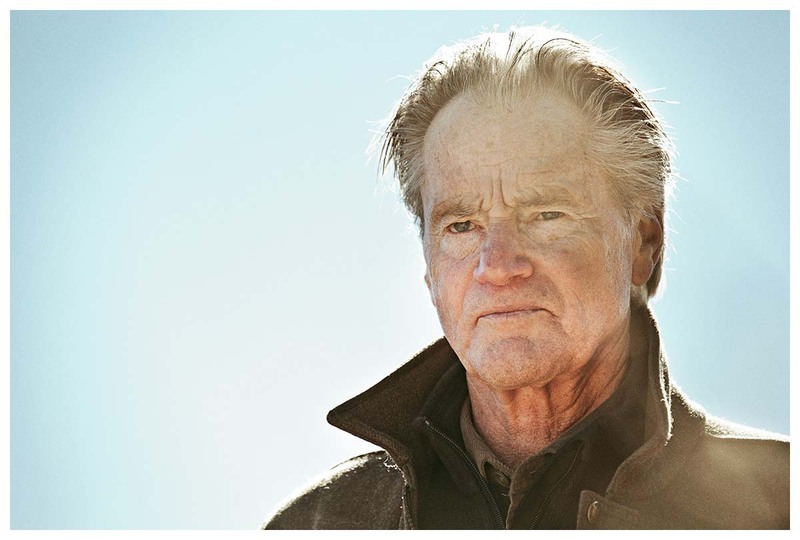 He adds, 'It's nice to see Sam Shepard aging into these kinds of roles - perfectly tailored but showcasing a finespun range." 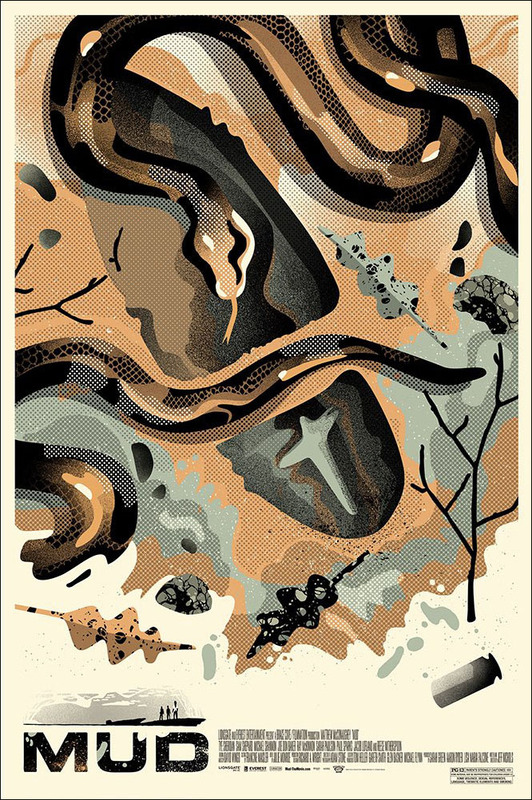 The above poster comes from Mondo, the collectible art division of the Alamo Drafthouse. The artwork is by Australian super-duo We Buy Your Kids. Note the shoeprint in the mud as well as some ominous looking snakes. The Austin Film Society auctioned off this special-edition signed poster at the Texas Film Hall of Fame awards on March 7th. Proceeds support the Texas Filmmakers’ Fund, AFS’s grant program for emerging filmmakers, that has supported Jeff Nichols on his earlier work. 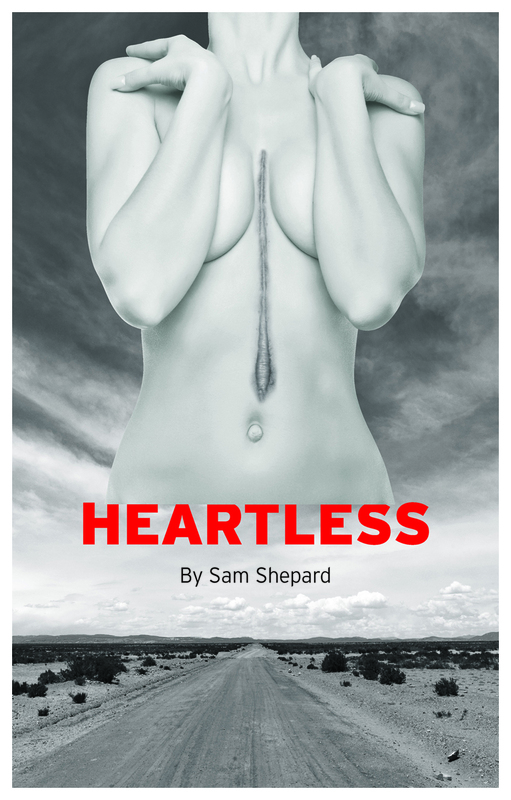 HEARTLESS, Sam's latest take on the human condition, will be one of five plays at the heart of the Contemporary American Theater Festival’s 2013 Season. "Heartless" tells the story of an iron-willed wheelchair-bound matriarch, her mute nurse, two damaged daughters and the bewildered lover of one of the daughters. “As much as any American playwright, Mr. Shepard understands that every family is insane in its own special way,” the New York Times’ Ben Brantley said in reviewing this play." CATF Artistic Director Ed Herendeen will direct this production. The Festival will run from July 5 to the 28th at the campus of Shepherd University in Shepherdstown, West Virginia. This will be the first production since its premiere in NYC last summer. Robert Bell of Exclaim, ca. writes: "Their collective observations about each other - in particular, Dark's analysis of Shepard's characterization of women in his writing - says a great deal more to the audience than their straightforward perceptions of self. Wurmfeld is aware of this, bookending the story with Dark's observation that realizations of the self don't inspire change so much as they leave one wondering what to do with that knowledge. This observation speaks to the non-physical romantic relationship between these two documentary subjects, who eventually realize just how they use each other as vessels for recapturing the past." Bruce DeMara of Toronto Star - "“How can we have been friends for so many years and be so different?” Dark posits, the film’s central question. Shepard is “peripatetic” and “rootless” while Dark finds solace in his humble home. While Shepard is a self-described “great enemy of sentimentality,” Dark revels in “the excitement of small events.” What unites them perhaps: difficult, disapproving fathers and the love of ideas." Ken Eisner of Straight.com - "There’s a lot of test pilot in Shepard, despite his actual fear of flying, and you can imagine what that’s like to live with. No one knows better than Dark, long ago married to an older woman whose grown daughter became his best friend’s first wife. Okay, stay with me now: when Shepard left her Dark ended up raising Sam’s young son, notably absent here. That’s a whole lot of history for any two men to carry. Without spoiling anything, I’ll just observe that fame seems to offer no guarantee against despair, and money certainly can’t buy self-knowledge." 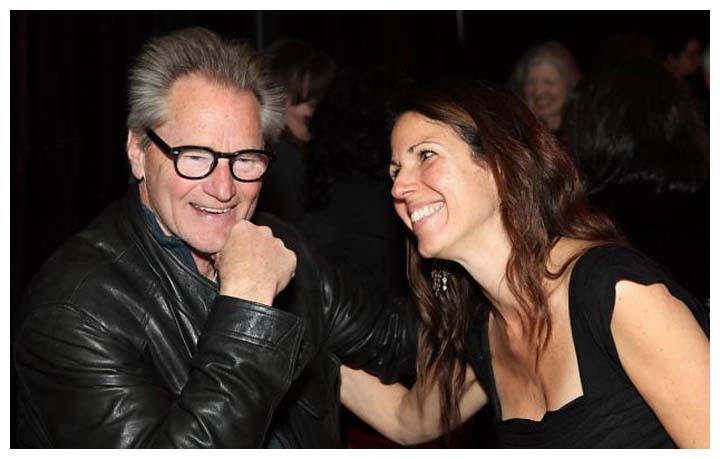 Danita Steinberg of Toronto Film Scene - "At his best, Sam Shepard is moody. At his worst, he is unbearable... Through the letters, we often hear about Shepard’s ongoing battle with depression. The film is also fascinating because it is a unique portrait of friendship – it is about the dynamics of two very different men, one who is famous and one who isn’t." 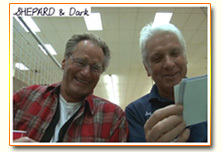 More screenings for "Shepard & Dark"
Martha's Vineyard Film Festival - March 17. Ashland Independent Film Festival in Oregon, April 4-8. Cleveland International Film Festival, Ohio, April 13-14. Bloor Cinema in Toronto from March 9-14. Pacific Cinémathèque in Vancouver from March 8-10. Cinema du Parc in Montreal opening March 15. 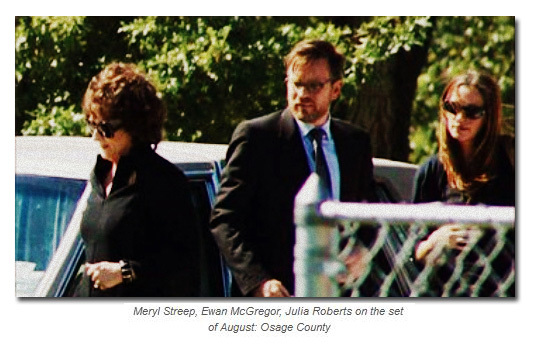 AUGUST: OSAGE COUNTY has finally received a theatrical release date for the US - November 8. 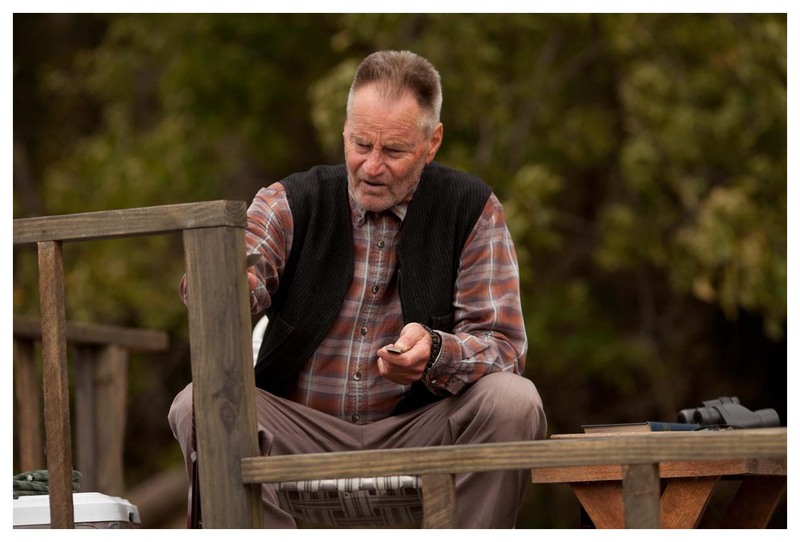 Adapted to the screen from Tracy Letts' dark comedic play, the story centers on a troubled family that tries to overcome their differences when their alcoholic patriarch. The mother and father are played by Meryl Streep and Sam and the adult daughters are played by Julia Roberts, Juliette Lewis and Julianne Nicholson. 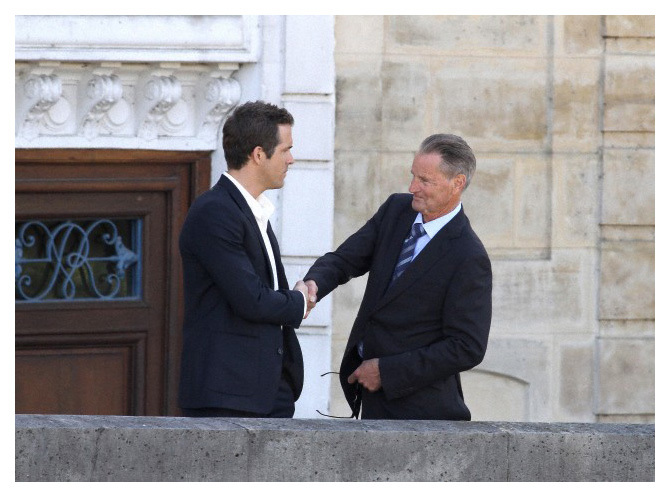 The cast also includes Ewan McGregor, Chris Cooper, Benedict Cumberbatch, Abigail Breslin and Dermot Mulroney. Expect Sam to be seen briefly at the start because his funeral soon follows. For those unfamiliar with Sam the playwright, here is a brief overview. Sam's plays are performed on and off Broadway and in all the major regional American theatres. They are also widely performed and studied in Europe, particularly in Britain, Germany and France, finding both a popular and scholarly audience. A leader of the avant-garde in contemporary American theatre since his earliest work, his plays are not easy to categorize. They combine wild humor, grotesque satire, myth and a sparse, haunting language to present a subversive view of American life. His settings are often a kind of nowhere, notionally grounded in the dusty heart of the vast American Plains; his characters are typically loners, drifters caught between a mythical past and the mechanized present; his work often concerns deeply troubled families. 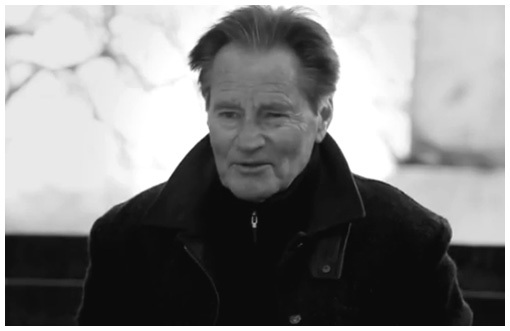 Notes from an interview with Matthew Roudané: Sam Shepard: In "When the World Was Green: A Chef's Fable", there's an emphasis on food at the end. That was Joe [Chaikin]. The chef. Joe was obsessed with cooking and food, and he just insisted on this food thing. Every time we'd get together, it was always about the food, and I just went along with it. I kind of liked this character, this Chef, this Chef who was a murderer. It was great working on Green. We started off working on the Devil as a subject, and it moved into this other territory somehow. Notes from Long Wharf: If you think about the giants of the American theater - Eugene O'Neill, Arthur Miller, Tennessee Williams - they're not talking about God, or fate, or social class, or hypocritical morality, or what it means to be Irish. They are exploring the ways in which the children are burdened with the sins of the parents, and the desperate, but doomed struggle to be free of a tainted heritage, while determined mothers, whether gallant or monstrous, persist in clinging to their misguided illusions. The cause of the dysfunction, and the nature of the delusions will vary, and allow for both colorfully dramatic scenes and insightful commentary on a particular time and place that corresponds closely to the playwright's own biographical circumstances. Thus O'Neill's father and brother drank themselves to death, Miller's father lost everything in the Depression, and Williams's mother arranged to have his beloved sister lobotomized, material which was transformed into their most famous works. 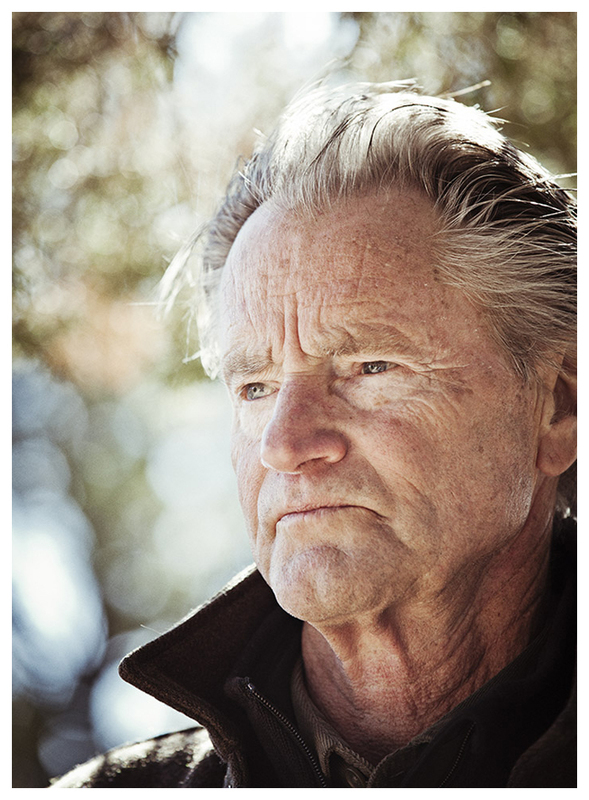 Playwright Sam Shepard fits squarely into this tradition. While his earliest efforts, staged in the cafes and mini-theaters of the East Village, were influenced by the European Absurdist movement, by the 1970s he had found a new direction in the cycle of "family plays." These works explored Shepard's own roots in a poverty-stricken California ranch family, tyrannized by an abusive alcoholic father, who died on a New Mexico highway because he was too drunk to get out of the way of a fast moving semi. Notes from Don Shewey: "Buried Child" (Pultizer Prize winner) is the theatrical equivalent of an optical illusion: it messes with your mind. Thematically you could sum it up very simply as an eloquent depiction of the inescapability of the family bond, a favorite subject for Shepard and indeed many American playwrights, and in that respect it ranks right up there with "The Glass Menagerie" and "Long Day's Journey Into Night". But what's extraordinary about "Buried Child" is that, like Shepard's best plays and decidedly unlike most conventional family dramas, it acts on the audience the same way the tensions of the play act on the characters. It becomes the things it is about - emotional violence and the mystery of the family bond. Notes from The Kansas City Star: A play about codependent love and lost dreams set in an isolated motel on the edge of the Mojave Desert. Shepard’s plays are set in tangible physical environments but are rarely realistic in a conventional sense. They derive their power from his unique gift for dialogue and oblique characters often surrounded with symbolic fragments of a mythological past. As Frank Rich, reviewing the 1983 production for the New York Times, put it: "Like so many Shepard plays, ‘Fool for Love’ … is a western for our time. We watch a pair of figurative gunslingers fight to the finish - not with bullets, but with piercing words that give ballast to the weight of a nation’s buried dreams." Notes from Broadway World: A twisted, black-humored tale about an unlucky cowboy whose fading gift for dreaming horse-race winners has landed him in the forced company of a pair of low-level thugs, eager to please their crime boss. Shepard directed the premiere of his play in London, which starred Stephen Rea and Bob Hoskins. With the news that Leonardo DiCapri will produce and possibly star in "The Road Home" with Scott Cooper on board to write, direct and produce, a bit of news surfaced on one of Sam's upcoming films, OUT OF THE FURNACE, also produced by DiCaprio and written and directed by Cooper. The film, shot last April in Braddock, Pennsylvania, is expected to hit theaters this fall. 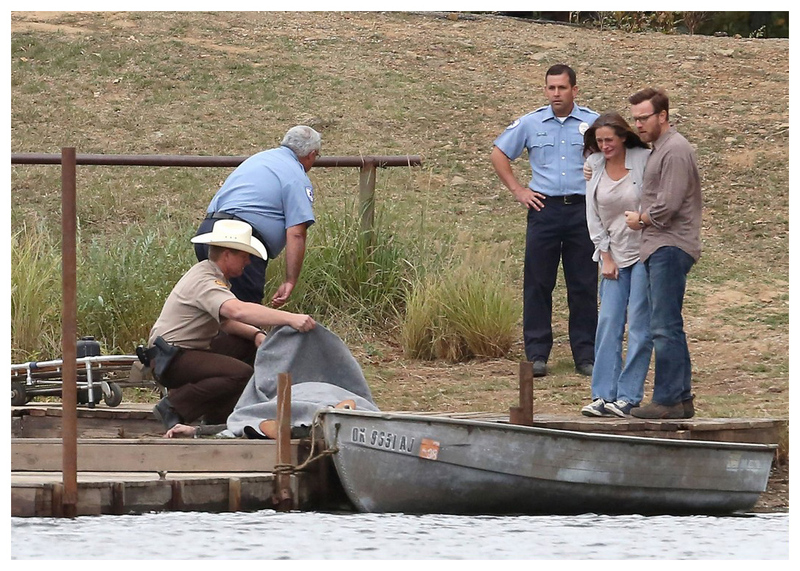 It stars Christian Bale, Woody Harrelson, Zoe Saldana, Willem Dafoe, Casey Affleck and Forest Whittaker. Eddie Vedder, the Pearl Jam frontman will pen and record a new track for the dark thriller. 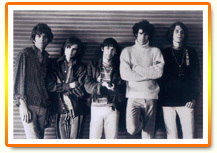 Several previously recorded Vedder songs may also be featured. The film is a drama about fate, circumstance, and redemption. Russell (Bale) and his younger brother (Affleck) live in the economically depressed Rust Belt, and have always dreamed of escaping and finding better lives. But when a cruel twist of fate lands Russell in prison, his brother is lured into one of the most violent and ruthless crime rings in the Northeast - a mistake that will almost cost him everything. Once released, Russell must choose between his own freedom, or risk it all to seek justice for his brother. Tucker Tooley, representing the film's production company, announced last year, “This is a meaty script with characters as strong as they are complex, and we needed powerhouse actors who complement the story. Christian, Casey, Zoe and Sam each approach everything they do with heart and conviction. We can’t wait to see what each of them brings to this film." There's been some misinformation put out on the Internet by several web sites regarding Sam's participation in Derry's 2013 City of Culture celebration in Ireland. Sam's play is NOT called "Thirsty Dust". His play will NOT open in April or May. 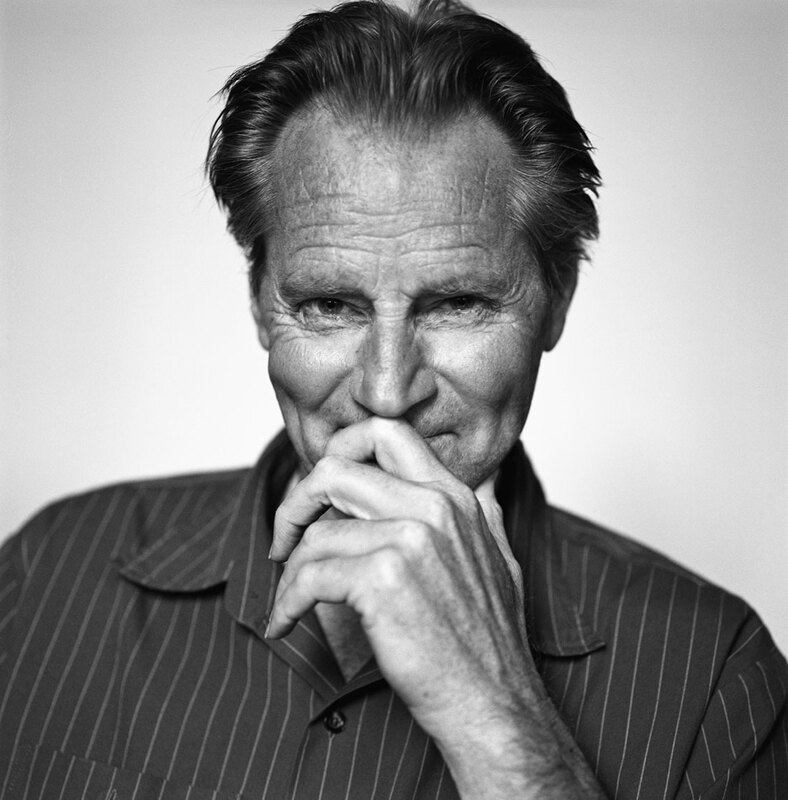 His new play is a re-working of 'Oedipus', which will premiere in November. It will be staged by Field Day, the innovative local company founded in 1980 by playwright Brian Friel and actor Stephen Rea. 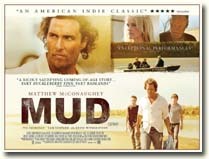 The UK poster for MUD has just been released and Shepard fans will be happy to see that Sam's photo is included. Phil de Semlyen of Empire magazine writes, "'Mud' sees McConaughey playing the title character, a grizzled fugitive whose riverside hideout is stumbled upon by two kids called Ellis (Tye Sheridan) and Neckbone (Jacob Lofland). All three feature prominently on the promo, but who are the other figures? 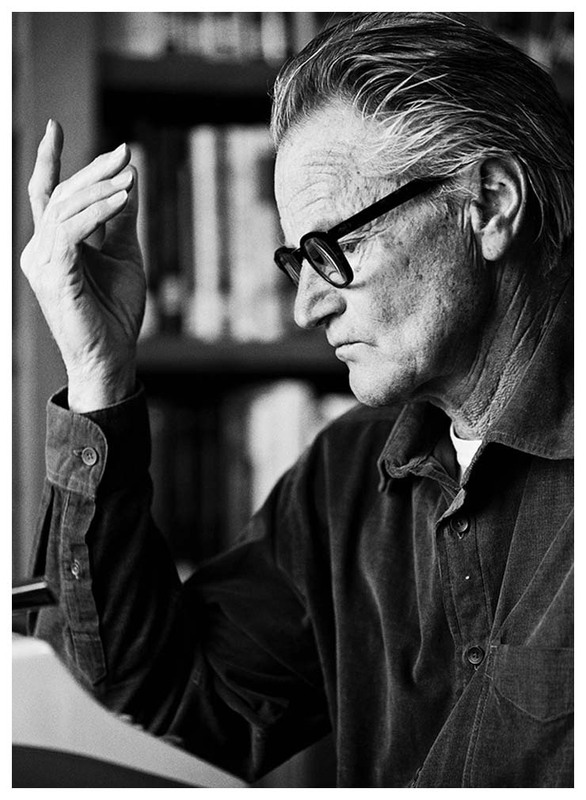 There's Mud's childhood flame Juniper (Reese Witherspoon), for whom he still holds a candle, and the great Sam Shepard as the boys' concerned neighbour." It should be noted that director Jeff Nichols has taken inspiration from Mark Twain right down to using the name of Tom Blankenship for Sam's character. In "The Adventures of Huckleberry Finn", Twain actually created his Huck Finn based on his childhood friend, Tom Blankenship. The film will open in UK theatres on May 10th with an April 26th opening date for the US. 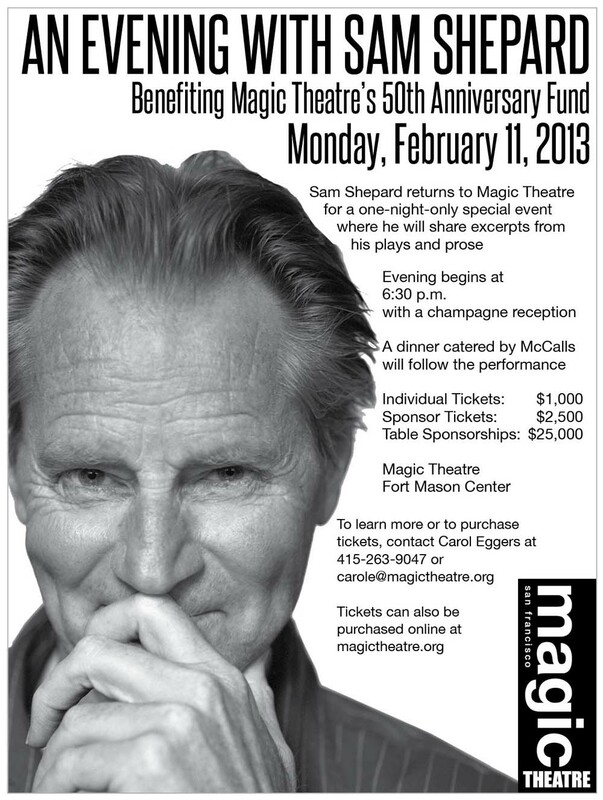 Last night's "An Evening with Sam Shepard" at the Magic Theatre was a sold-out event with a blend of donors and trustees purchasing tickets ranging from $1,000 to $25,000 to sponsor a table. 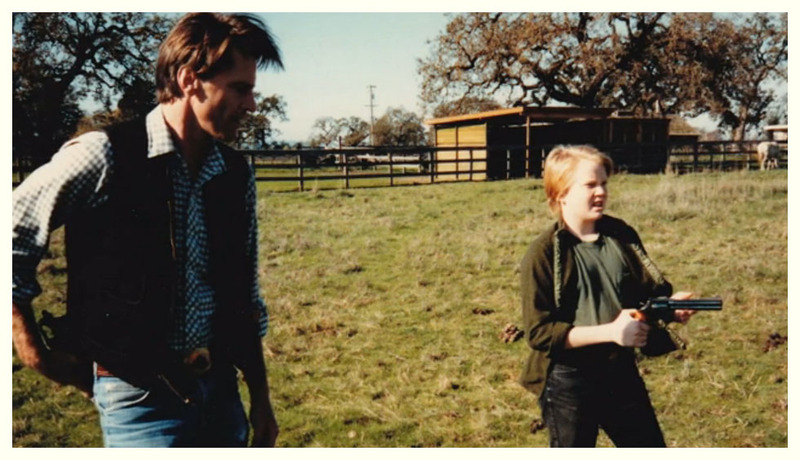 It was at the Magic where Sam staged the world premiere of his play, "True West". The year before he had won the Pulitzer Prize in drama for "Buried Child", which also received its premiere at the Magic. Sam delivered offhanded but dramatically rich readings from his "Motel Chronicles" and "Cruising Paradise" interspersed with scenes from "True West," "Curse of the Starving Class," "Buried Child" and the poetic "Tongues," written with actor Joseph Chaikin. Wearing his usual black jacket and black-framed reading glasses, Sam then sat down, looking pleased and a bit abashed by all the attention as the Magic's producing artistic director, Loretta Greco, announced details of the multi-theater celebration of the playwright's 70th birthday this year. The Magic opens its 47th season in September with "Buried Child" and a 24-hour birthday bash cycle of his plays follows on his birthday, November 5th. Other companies participating in the Shepard season include Crowded Fire, with a set of staged readings in October, and Word for Word, performing some of his short stories in January. American Conservatory Theater will collaborate with Intersection for the Arts/Campo Santo on Shepard's early "The Tooth of Crime" and "The Holy Ghostly" at ACT Costume Shop in March 2014. Earlier in the week, Ms. Greco brought Sam to Z Space for a performance of Word for Word's "You Know When the Men Are Gone." When they arrived, five minutes before curtain, Sam said he was hungry. Troupe member Jeri Lynn Cohen repaired to the kitchen, and from the show's props, created him a bologna and American cheese quesadilla. He ate every bite, and W for W is thinking about selling the "Sam-wich" before its Shepard performances next winter. 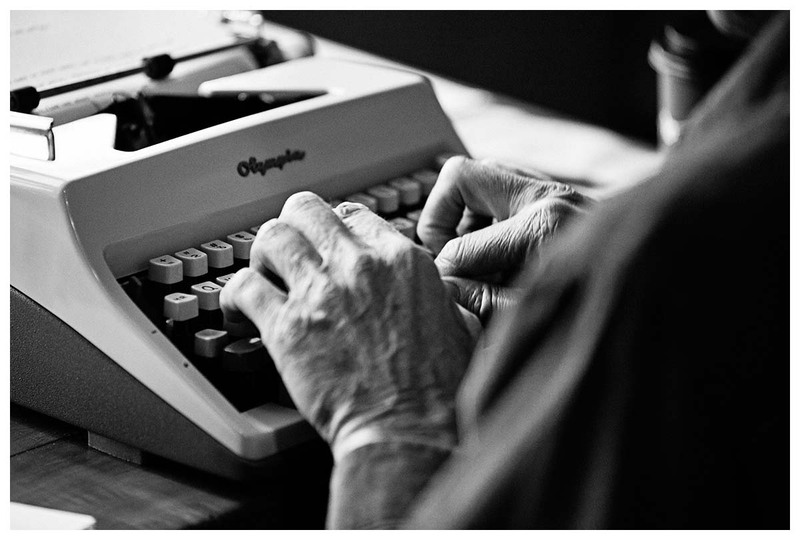 American filmmaker Doug Nichol is finishing up a feature documentary about typewriters, famous people who still use them and the last little typewriter shop in Berkeley, California. 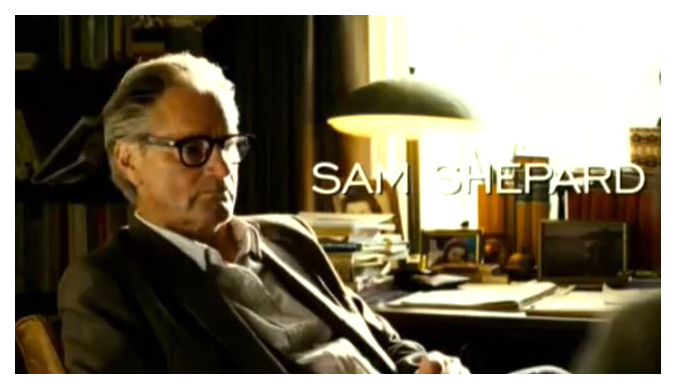 Among those interviewed in the film will be Tom Hanks, John Mayer, David McCullough and, yes, SAM SHEPARD! 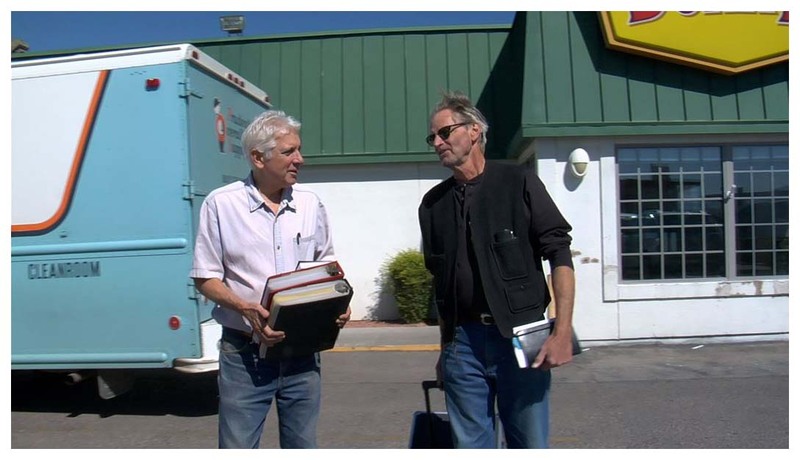 Among the films to be featured this month at the 10th Annual Big Sky Documentary Film Festival in Montana will be Treva Wurmfeld's SHEPARD & DARK, which highlights the friendship between our playwright and Johnny Dark for nearly half a century. Family portrait - Sam with his mother-in-law Scarlett and her husband Johnny Dark, Sam's wife Olan, their son Jessie and Olan's sister Kristy. 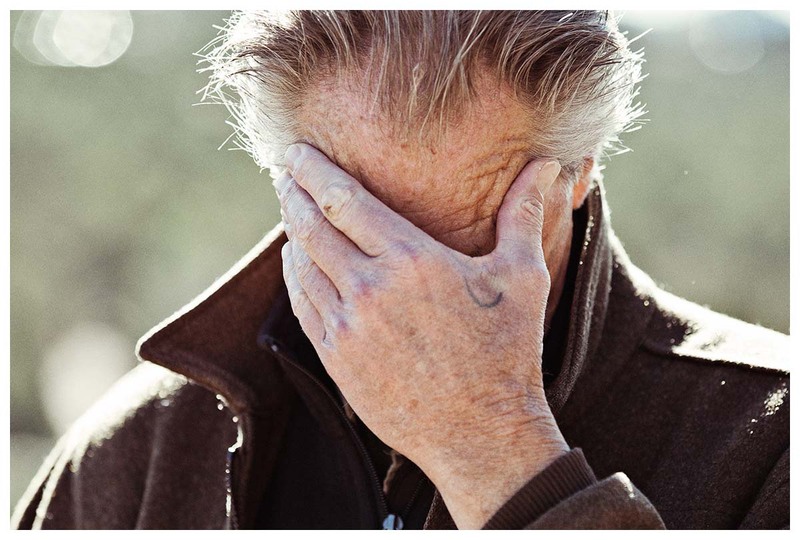 This film is essential viewing, at least, for fans of Sam Shepard as playwright and actor, let alone if you’re curious about seeing him post his celeb-fodder break-up. His enduring friendship with Johnny Dark, a good ole boy he met in Greenwich Village in the early ’60s, provides insightful background to the style and substance of his Cain-vs.-Abel theater themes and the macho image he projects. But this is also a joint biography of a male friendship that is rarely captured so intimately, an unusual bromance that has been intertwined by living with related women, complicated by Shepard’s fame and drinking, and fostered by continual letter writing. The two men may not have realized how much they would be baring when director Treva Wurmfeld started filming to mark their decisiom to add their staggeringly voluminous correspondence to an academic Shepard archive and prepare a selection for publication. But tensions build as they go back through their epistolary history, supplemented by Dark’s many photographs, home movies, and honest memories. Unexpectedly, they not only get overwhelmed by revisiting painful episodes from their pasts, when they moved around the country over the years, separately and together, but their professed bonhomie gets strained by repeating on camera dysfunctional patterns in their lives, to the extent that they turn away, and you may feel uncomfortable watching them. 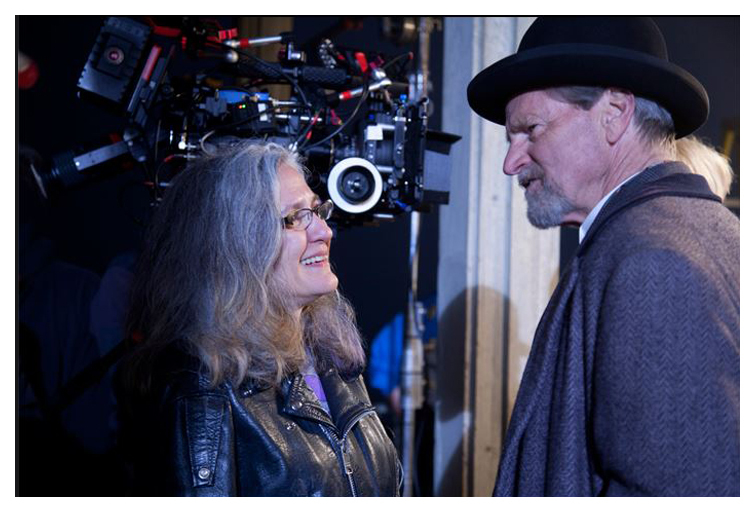 Two years ago, director Annette Haywood Carter began filming SAVANNAH, based on a screenplay she wrote with her husband. It will now open the 4th Annual Charleston Film Festival, held March 7-10. Besides Sam, the cast includes Jim Caviezel, Bradley Whitford, Hal Holbrook and Jaimie Alexander. The film tells the true story of a white aristocrat named Ward Allen and a freed slave named Christmas Moultrie during the early 1900s. Ward Allen was a romantic naturalist who turned his back on a life of material comfort to become a market hunter. He and Christmas Moultrie became business partners, confidantes and life-long friends and together they tried to navigate the vicissitudes of social, industrial, environmental and personal change that threatened their way of life. Though the film might present a nice bit of history for South Carolina folks, perhaps its failure to manage a general theatrical release is its lack of interest to today's cinemagoers. 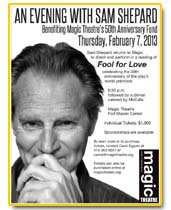 First, San Francisco's Magic Theatre announces Sam directing and performing in a reading of "Fool for Love" on Thursday, February 7th (poster on the right featured in the 1/19/13 update), and now they're announcing that Sam will "share excerpts from his plays and prose" on Monday, February 11th. Tickets are still $1,000 but it sounds like you're getting a lot less for your money. Can someone explain what happened here? Up-and-coming auteur Jeff Nichols has only two films under his belt, but has already become known for crafting emotionally taut, stylish drama/thrillers. 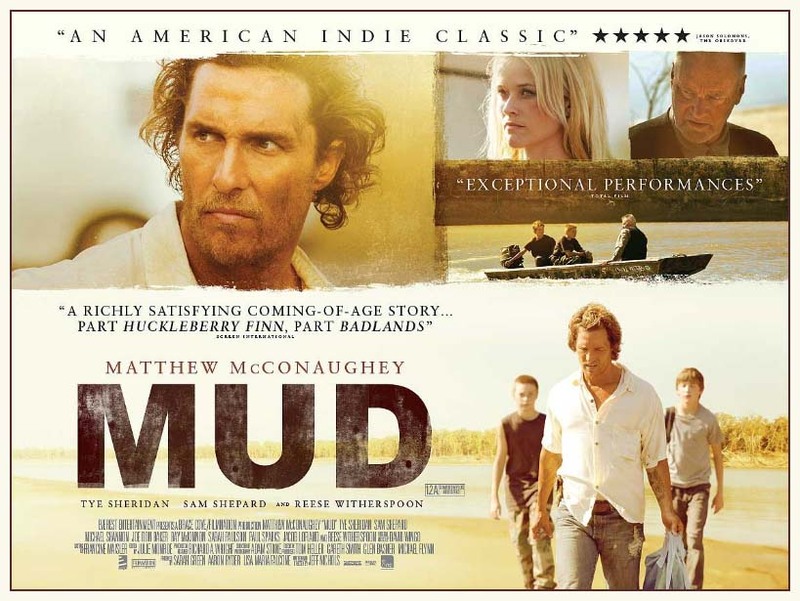 His third and newest film, MUD, will open in domestic theaters on April 26th. 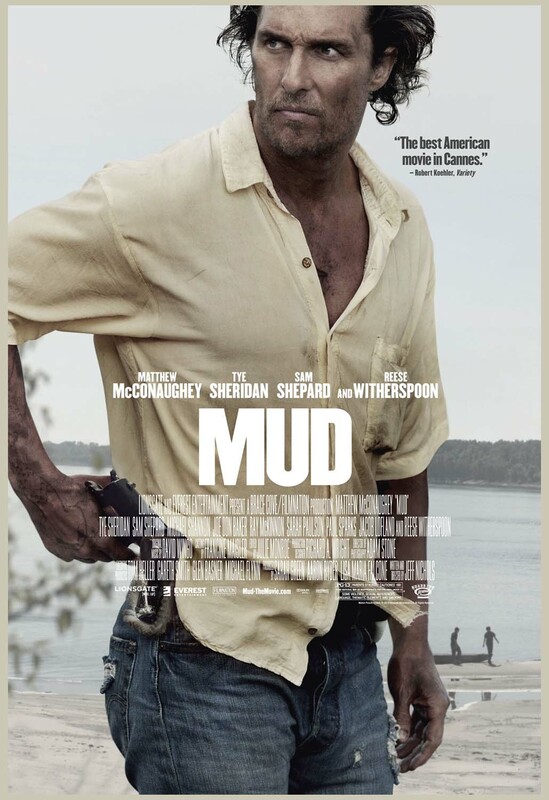 Promotional materials for the movie have just begun to hit the public, including this full poster showing off Matthew McConaughey in all his grimy glory. Currently making the rounds on the festival circuit, the film is receiving positive reviews. As with his previous movies, it looks as if Nichols is devoted to a deliberately-paced, contemplative story told amid flashes of acute suspense and violence. And the praise continues for our playwright. 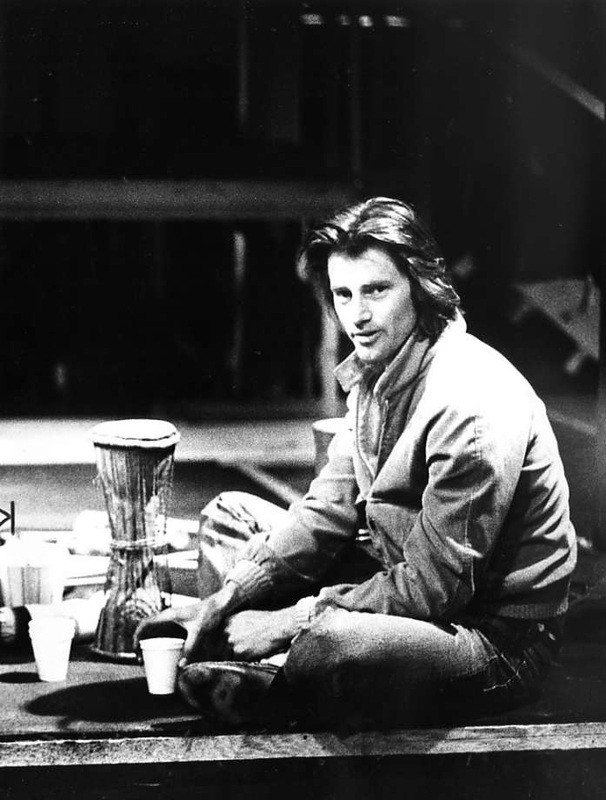 At slashfilm.com, we read, "Sam Shepard lends a gruff strength as the mysterious neighbor." 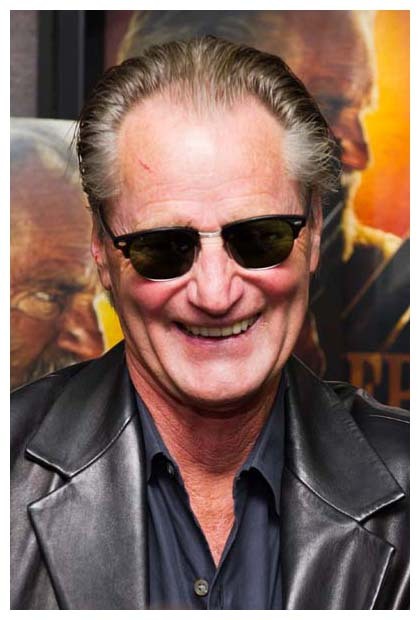 And Slackerwood.com tells us, "Sam Shepard is also effective as Tom Blankenship, Ellis' neighbor, who is a former sniper in the Armed Forces and knows much about Mud's history." McConaughey himself said, "Sam's the first person I called when I saw the movie the first time. I said, 'Man, you've done a lot, but I'm telling you, you are great in this one.'" 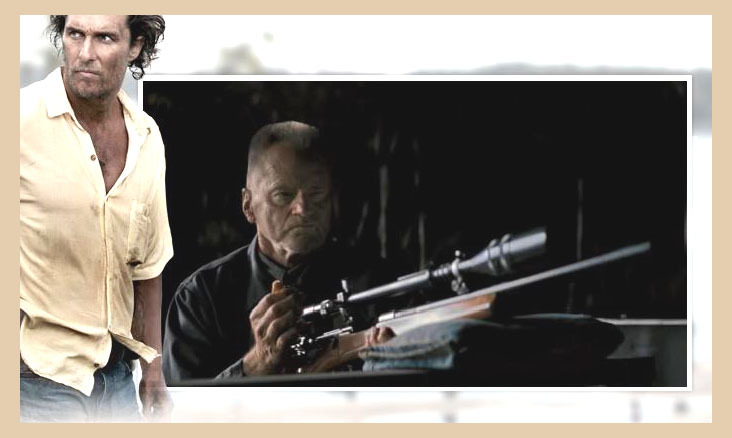 Anchor Bay Entertainment and The Weinstein Company have announced the release of KILLING THEM SOFTLY, available on DVD and Blu-ray on March 26th. The film, written and directed by Andrew Dominik, stars Brad Pitt, Richard Jenkins, James Gandolfini, Ray Liotta and a brief cameo by Sam. Pitt plays Jackie Cogan, an enforcer for the Mob in this stylish crime thriller. Cogan must restore order in the criminal economy after a Mob-protected card game is heisted by a group of inexperienced crooks. Sam will be returning to his roots at San Francisco's Magic Theatre! 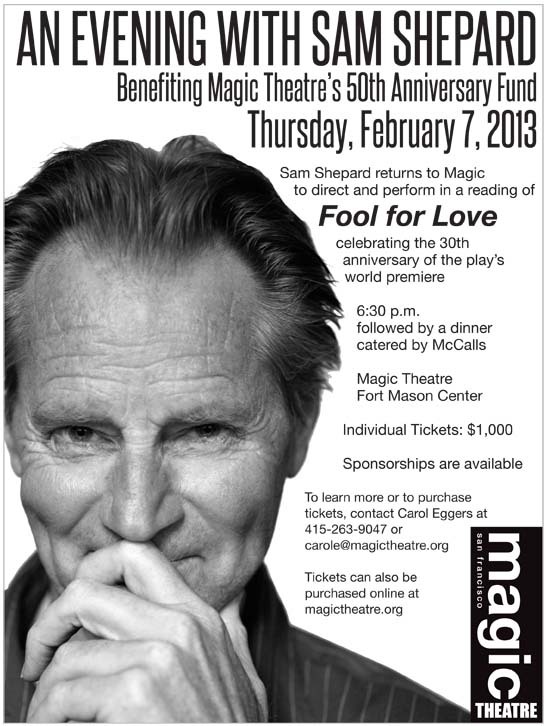 He will direct and perform in a reading of his play, FOOL FOR LOVE, to celebrate the 30th anniversary of the play's world premiere at Magic! The event will be held at 6:30 pm on February 7th and will benefit the theatre's 50th Anniversary Fund. Individual tickets are $1,000 and include a catered dinner by McCalls. Last night MUD premiered at the Sundance Film Festival and HitFix's Kristopher Tapley says he's "over the moon" with this one. He describes Matthew McConaughey's character as "magnetic" and "charismatic." He writes, "His Mud is full of wisdom, lies, romance, remorse, honor, disgrace. He is a treasure trove of virtues, each of them valuable, even when, indeed, especially when, they conflict. Because that's the story lurking between the lines of the film: the messiness of life, and the promise of redemption around every corner... And Nichols, truly gifted with actors, gets stellar performances across the board. Reese Witherspoon, Sam Shepard, Ray McKinnon and Sarah Paulson all shine, and even fleeting work from Michael Shannon and the great Joe Don Baker leaves you wanting more... This one found a place inside me and it's staying there. I can just tell. And I hope when it comes around your way, you feel similarly." 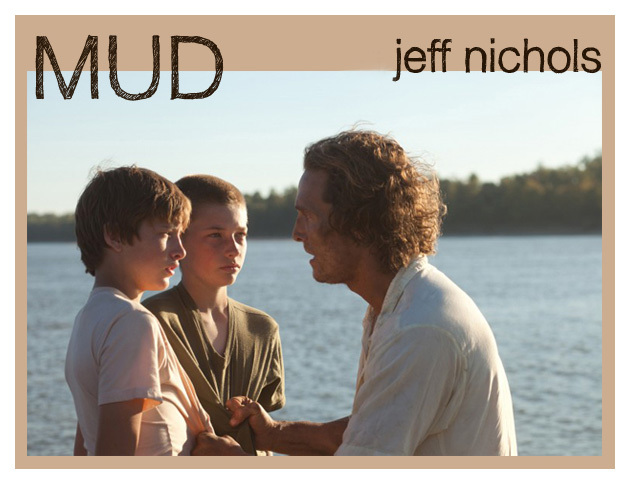 Matt Goldberg of Collider gives its thumbs up - "Jeff Nichols‘ 'Mud' almost has it all. It’s a sweet coming-of-age story, an adventure, a crime-thriller, and a romance. Lead actors Tye Sheridan and Matthew McConaughey give outstanding performances as a boy and a man, respectively, who bristle when the world won’t conform to the mythic journey they’ve envisioned. Nichols gives the movie a sweet, soft, and loving tone that takes the best of identity of the Deep South (i.e. avoids racism), and uses it as a rich backdrop for a captivating tale." Robert Bell of Exclaim.ca writes, "Shot with a classical eye that frames each shot beautifully, but without any distracting or imposing viewpoint, there is a timeless nature to 'Mud' that matches the overriding, universal themes perfectly. As characters repeat cycles of damaging behaviour, or acknowledge their need to escape the unbalanced and emotionally abusive relationships they've trapped themselves in, similarly believing in the myth of romantic love, there is a pained observation that not all things in life are worth fighting for... there is a powerful unifying worldly understanding and tone here that demonstrates Nichols' implicit talent and strong voice." 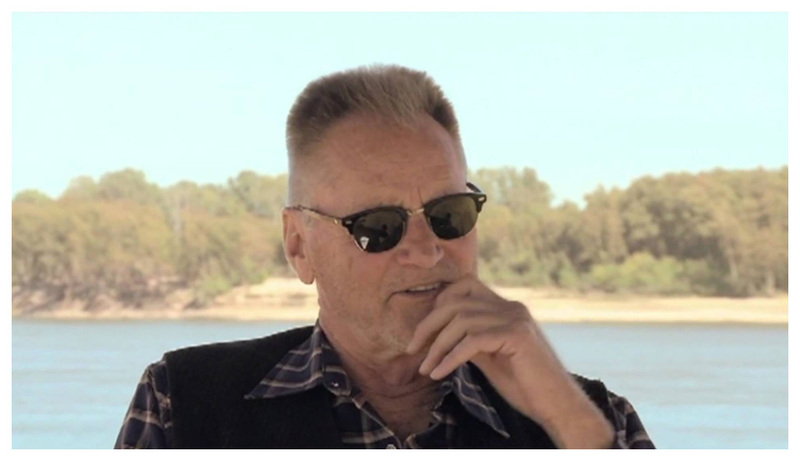 JoBlo's Chris Bumbray gives praise for our playwright with "Sam Shepard comes along and steals every scene he's in as Mud's pseudo father figure." I can't wait to see this film! It will have a limited theatrical release on April 26th.